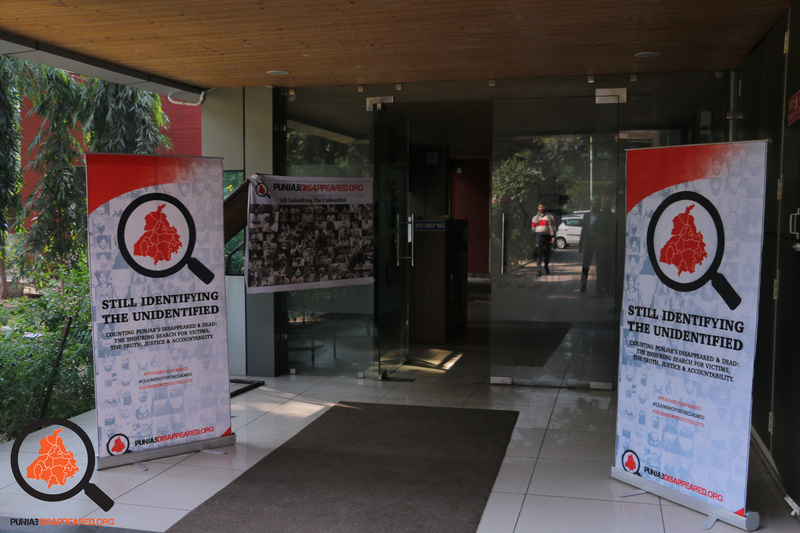 What We Do – Overview Of Our Work. 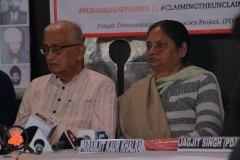 The civil rights group claimed that 8,257 people are missing because of “illegal killings” during the militancy period in Punjab. 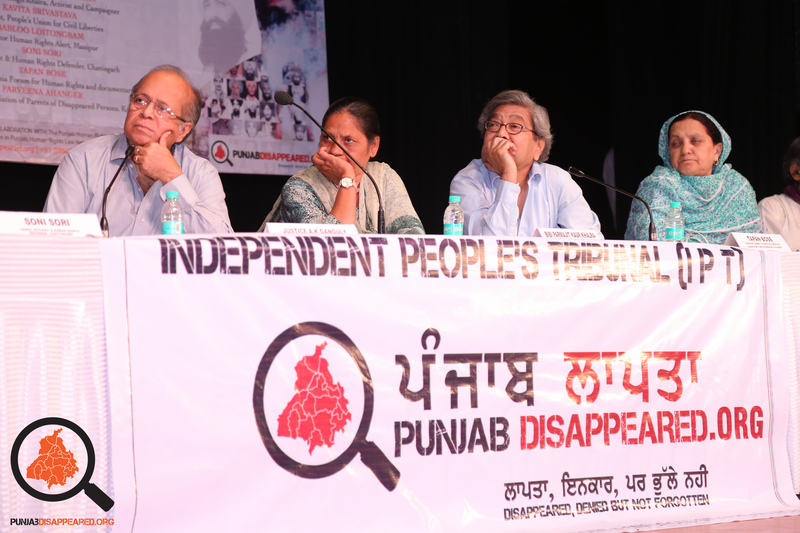 Identifying the unidentified PDAP to release a report on enforced disappearances fake encounters in Punjab. 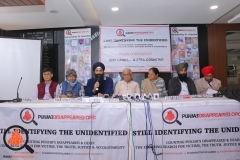 The release of our investigative report is a major step for victims. 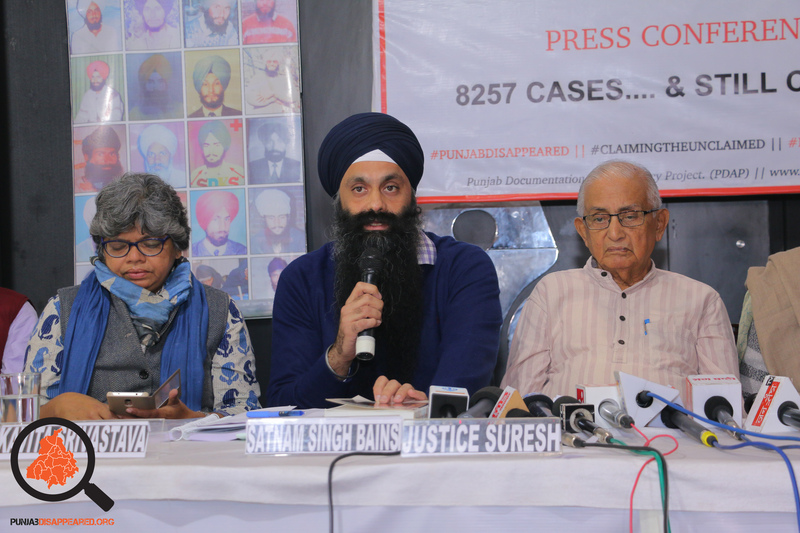 Its findings will be submitted to the Supreme Court of India to investigate and deliver justice to all victims of disappearances and killings across Punjab beginning with these 8257 cases. 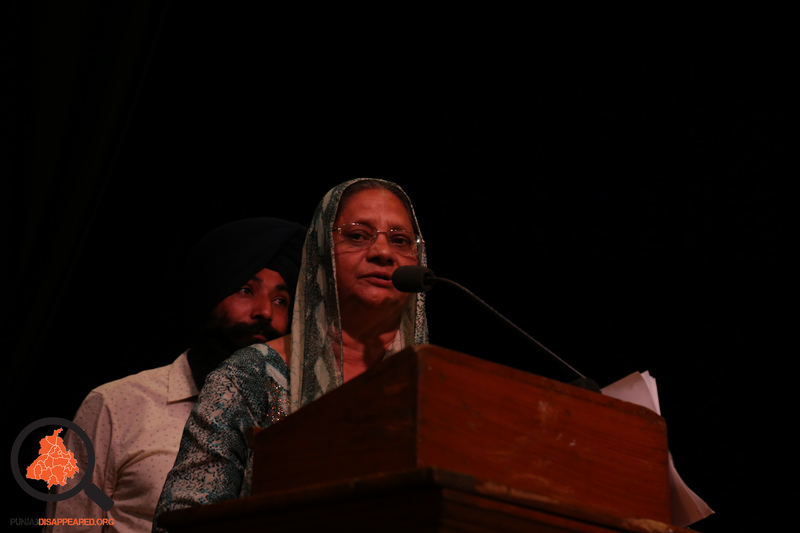 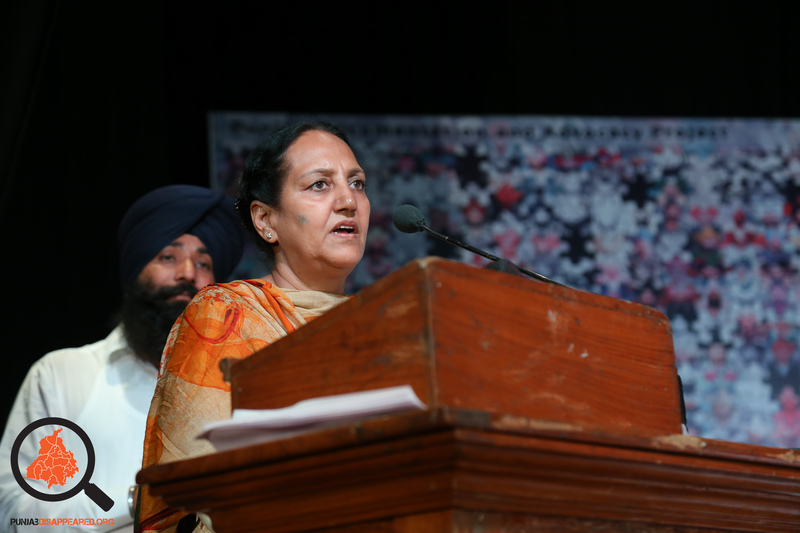 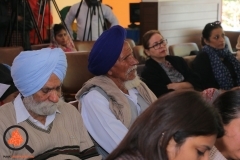 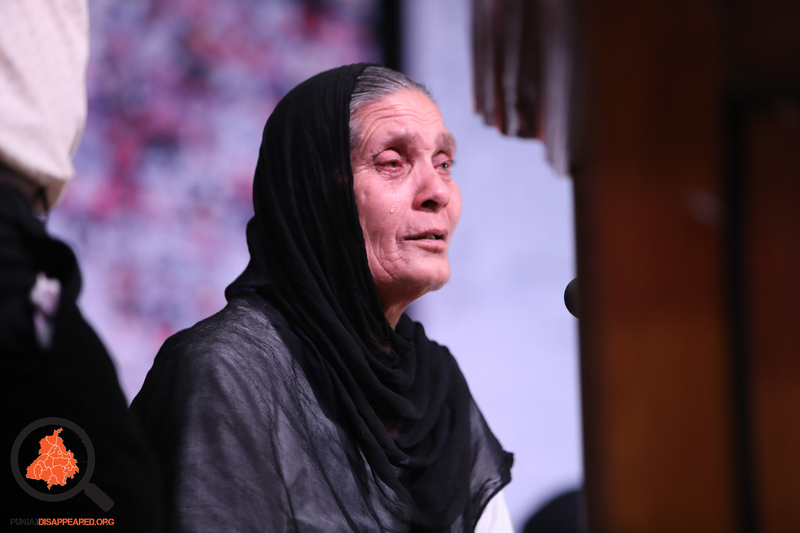 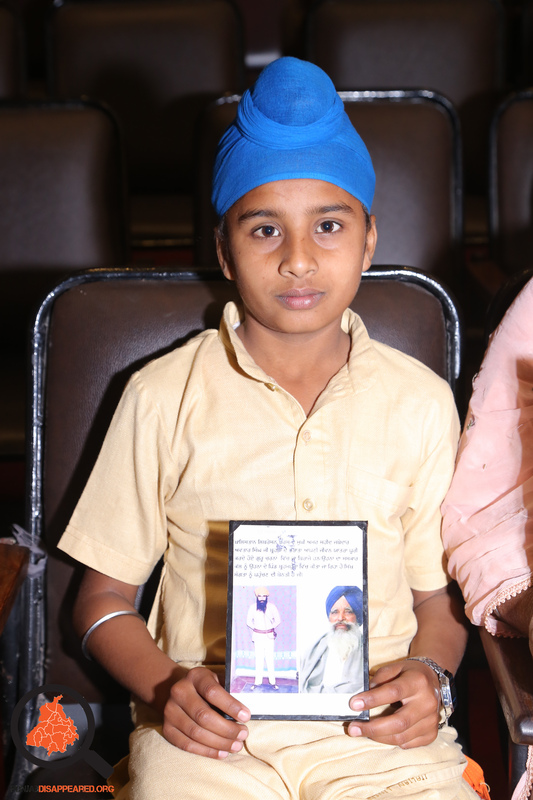 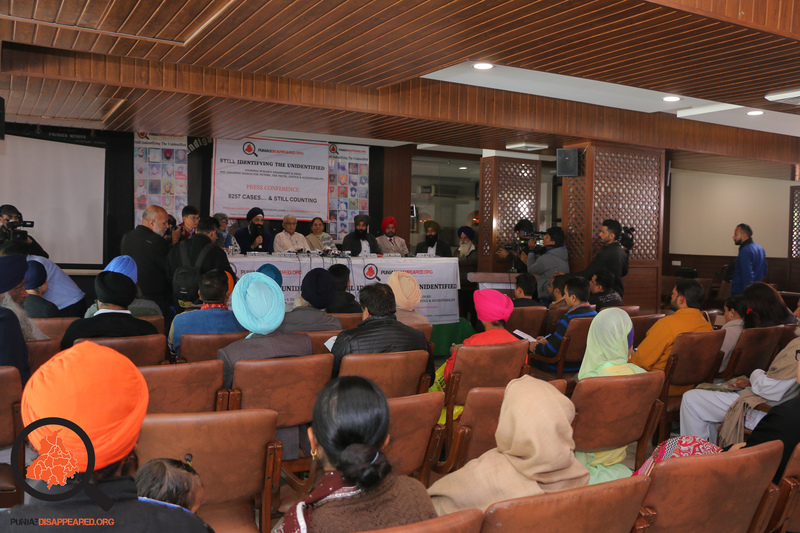 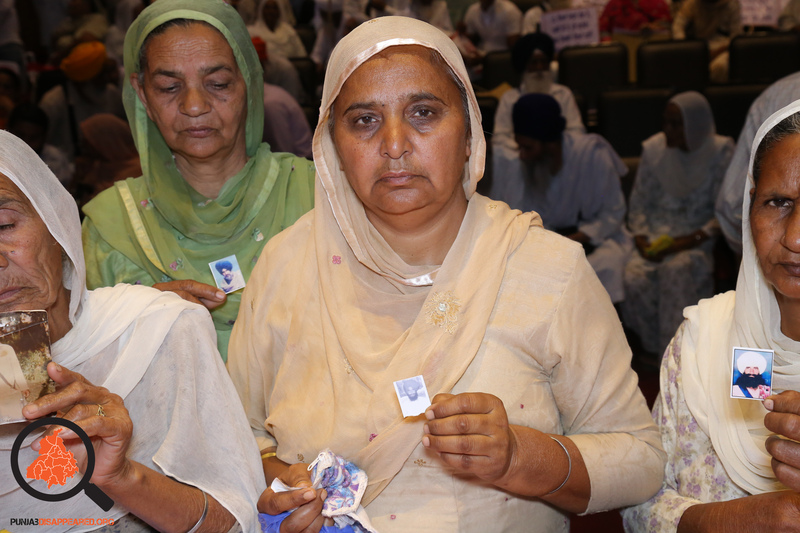 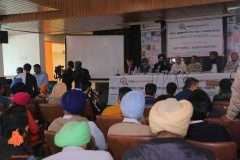 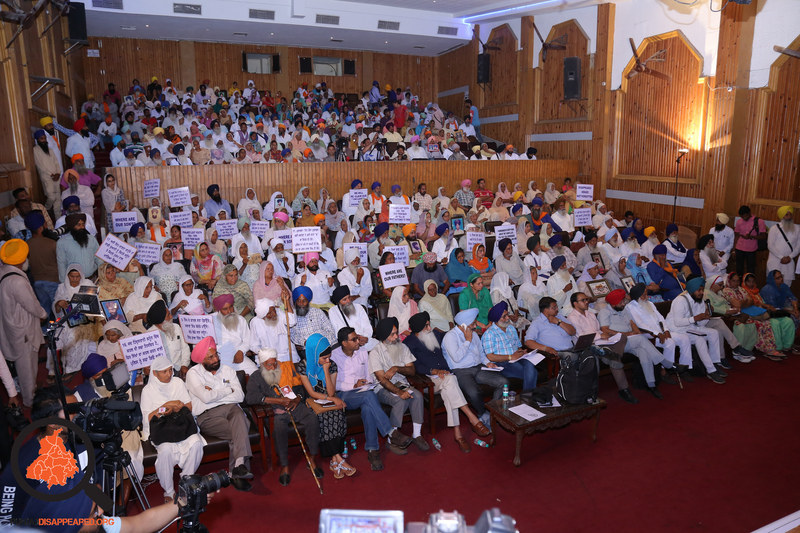 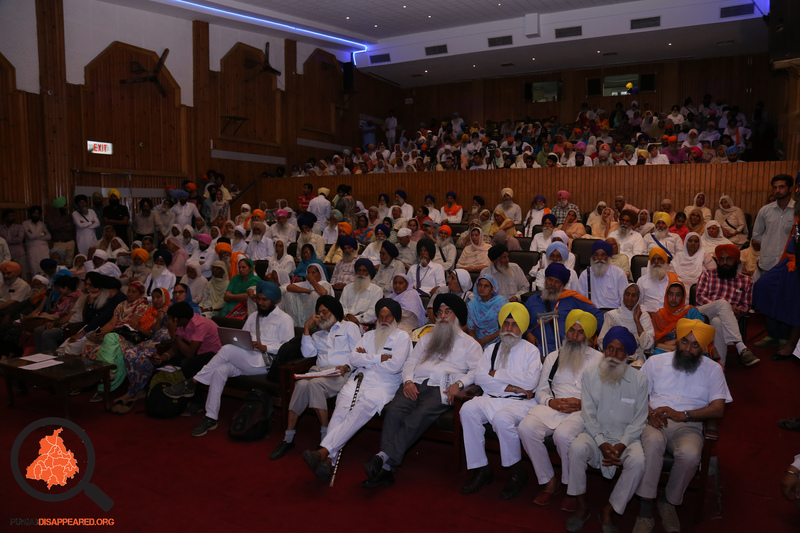 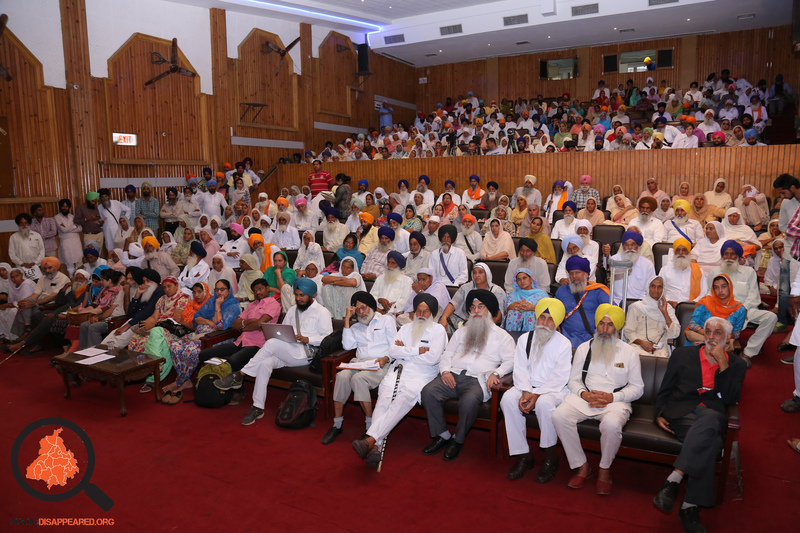 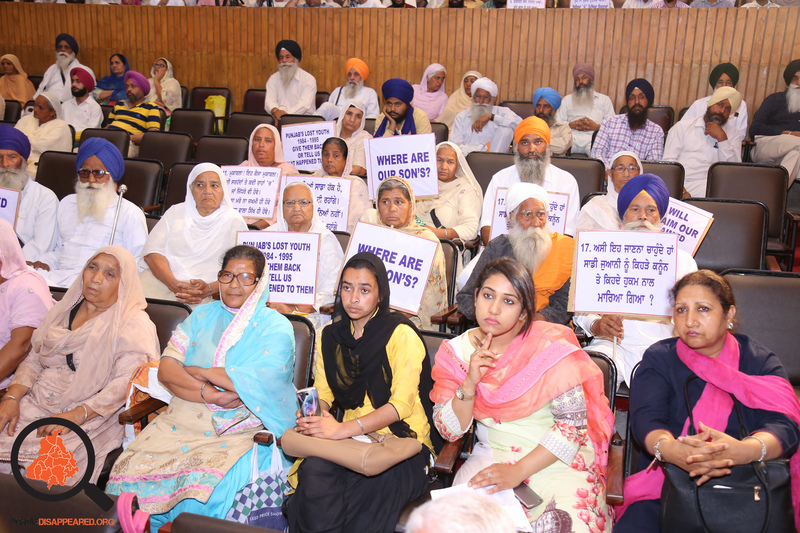 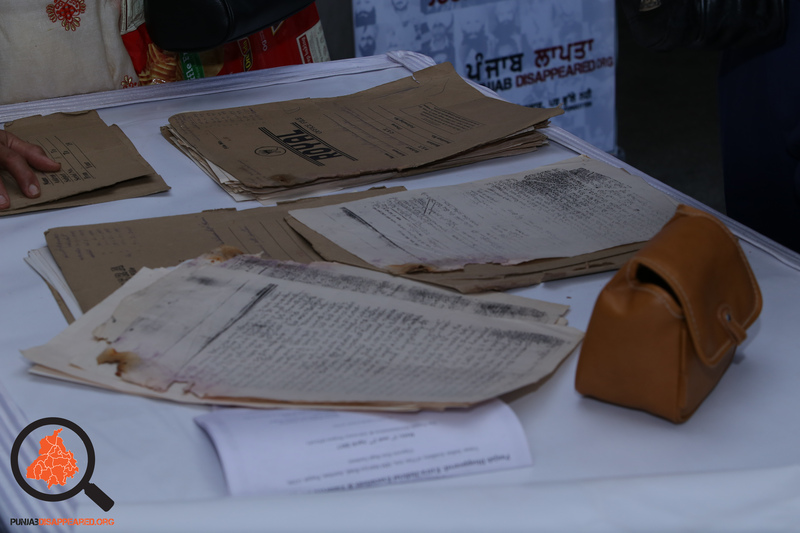 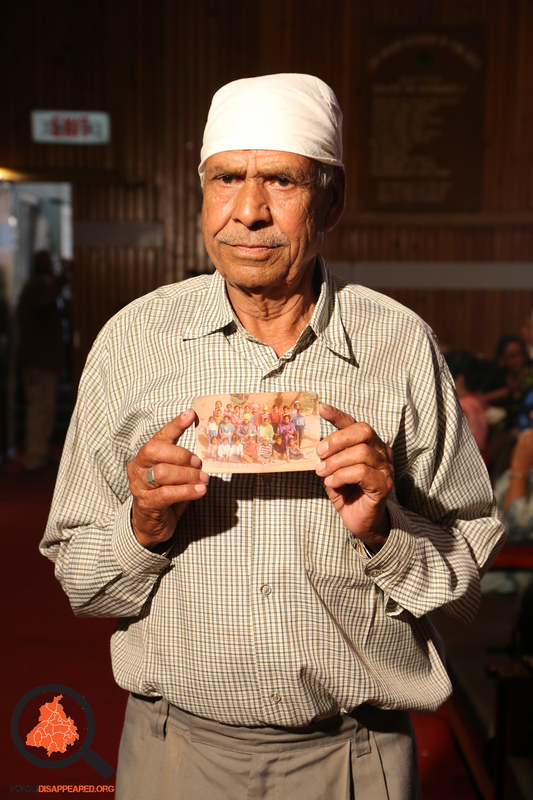 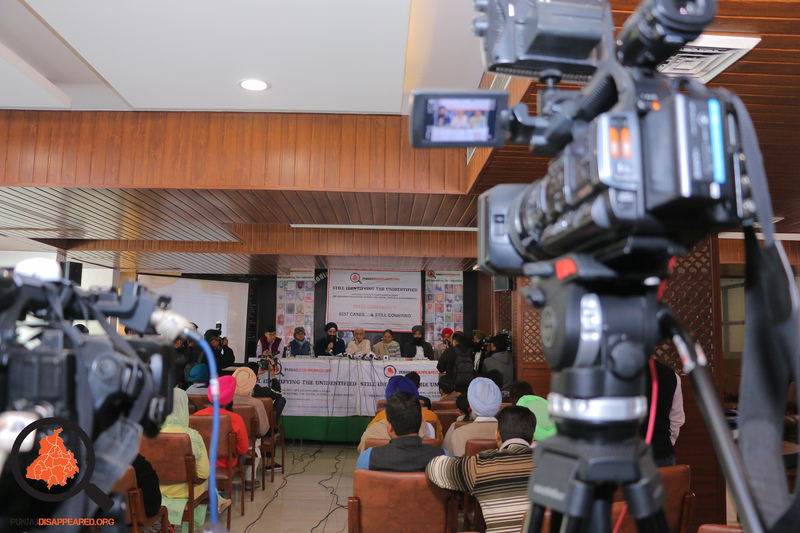 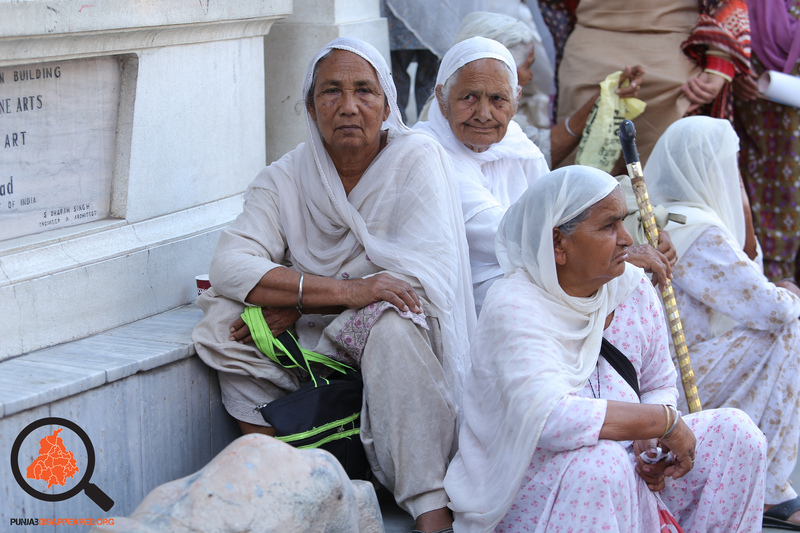 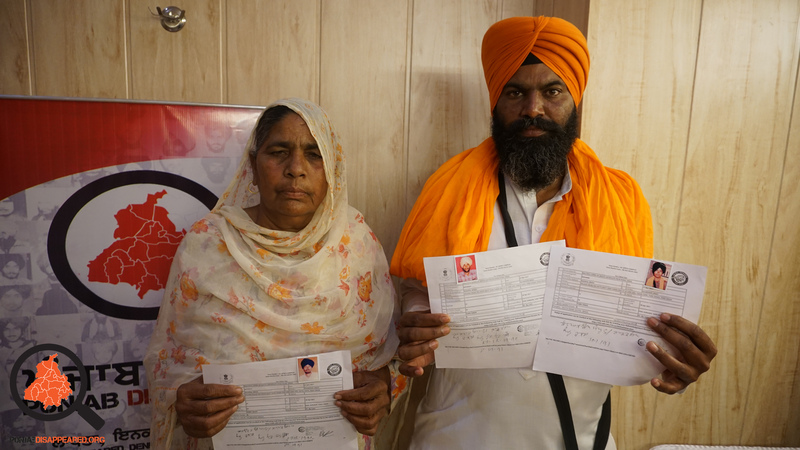 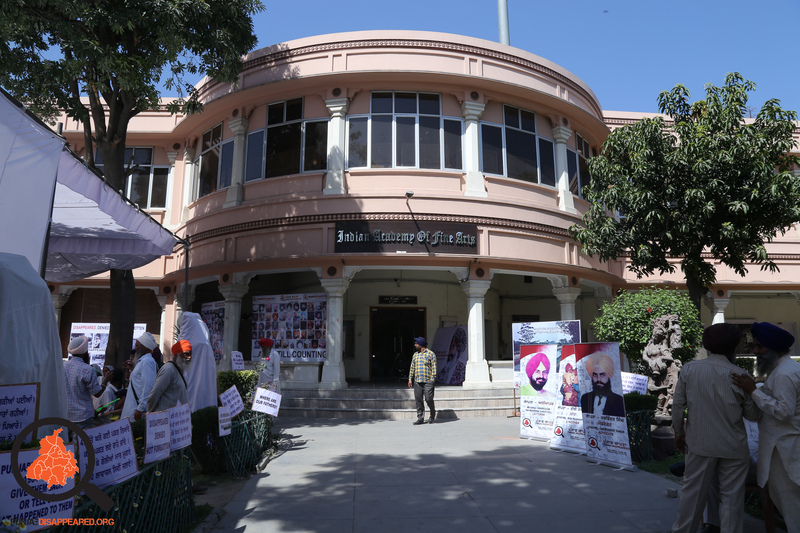 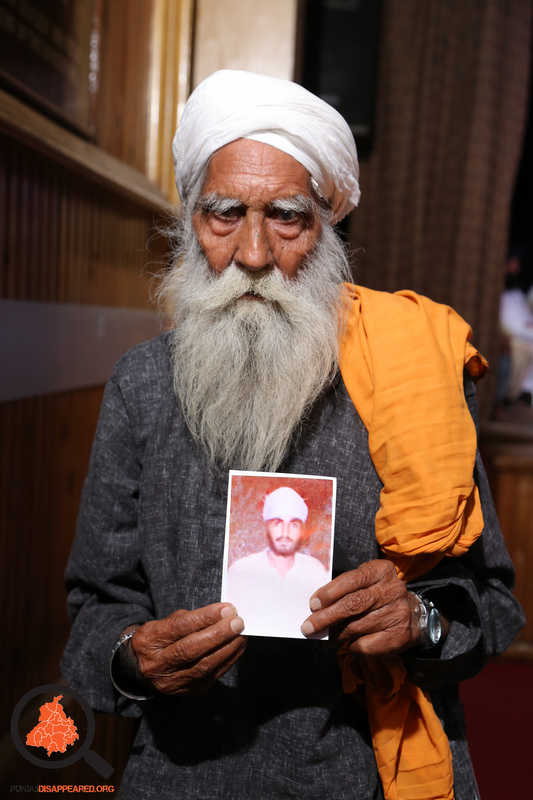 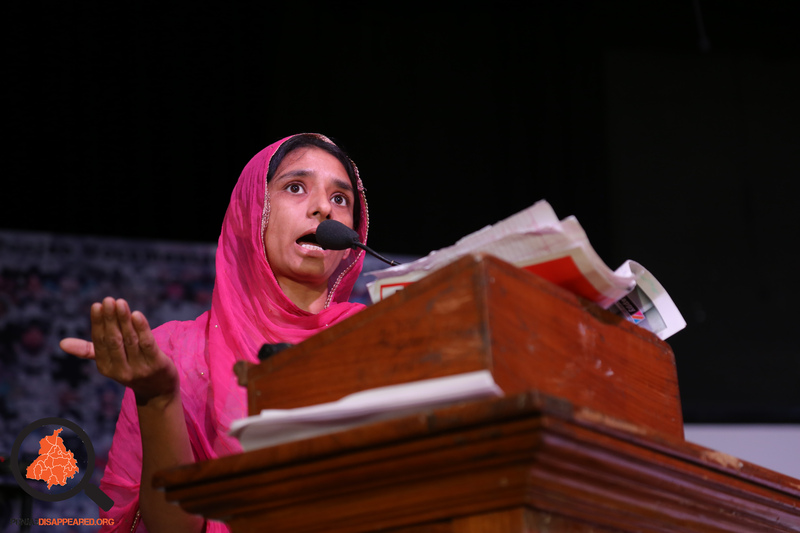 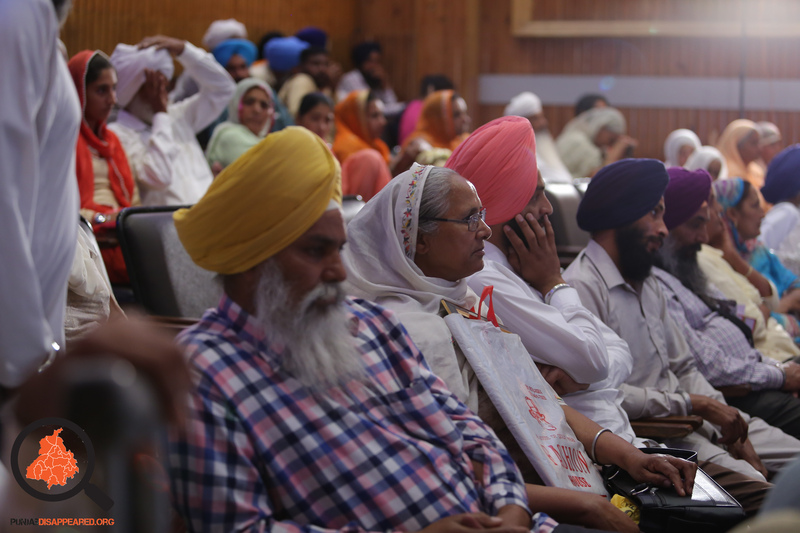 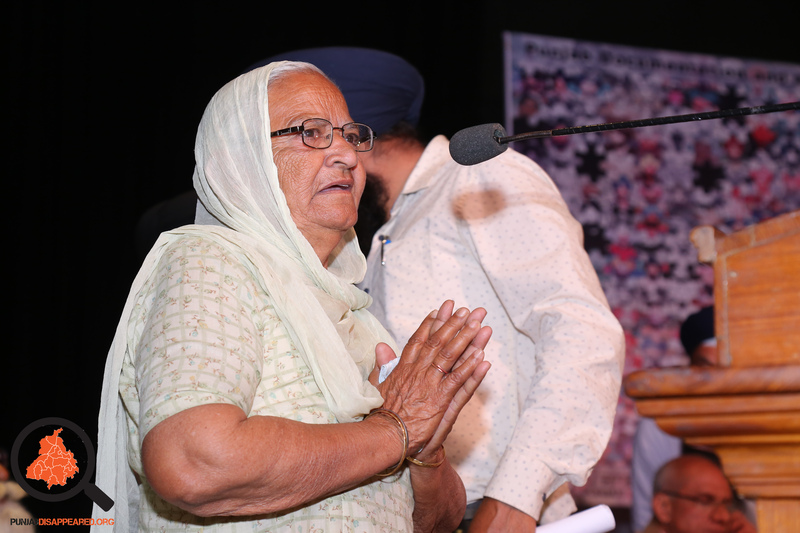 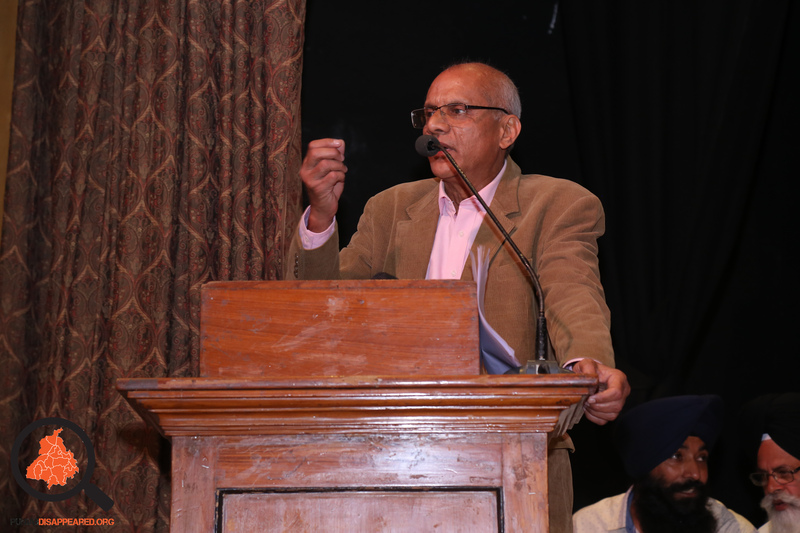 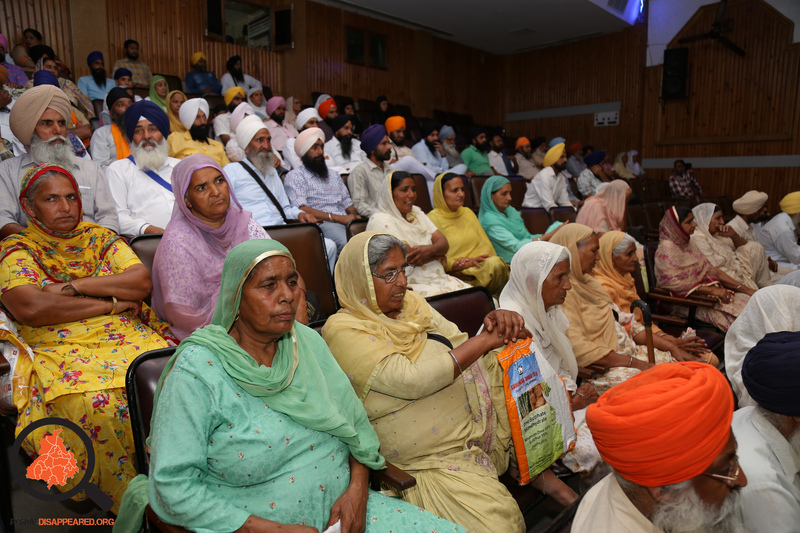 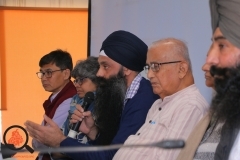 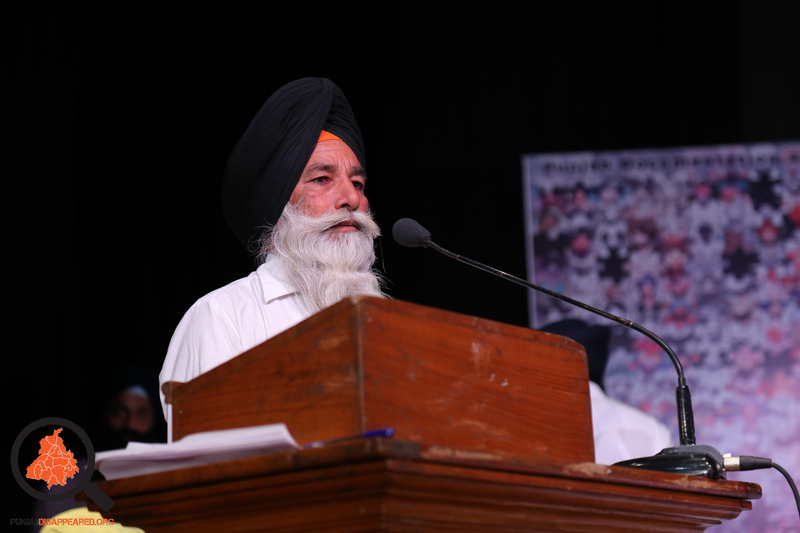 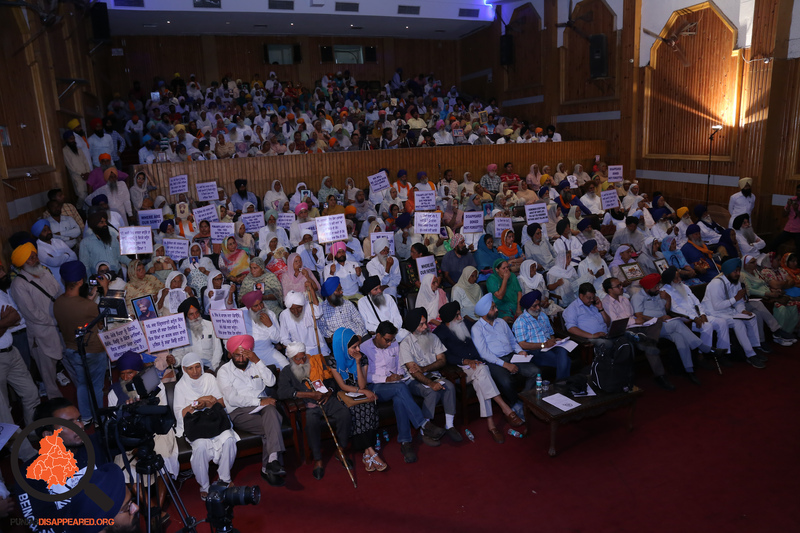 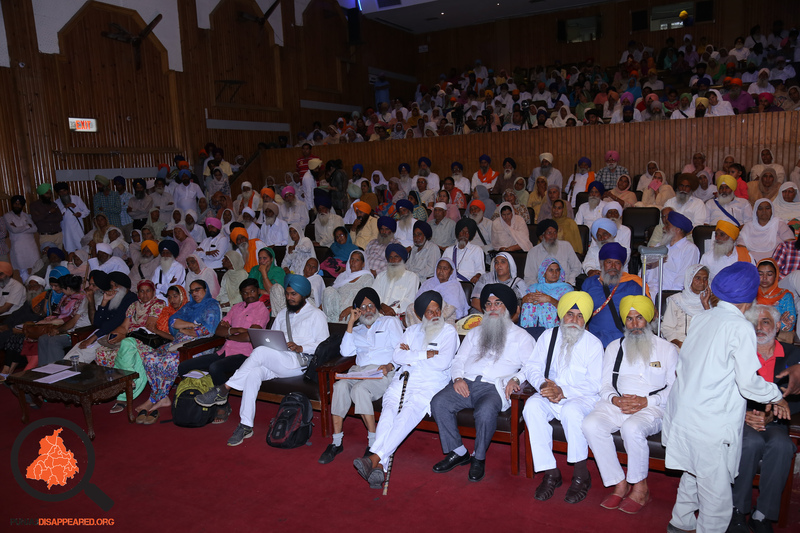 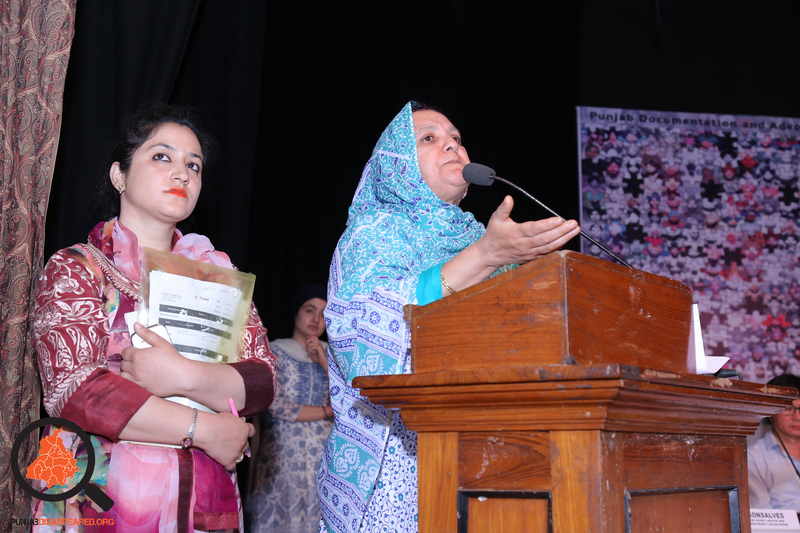 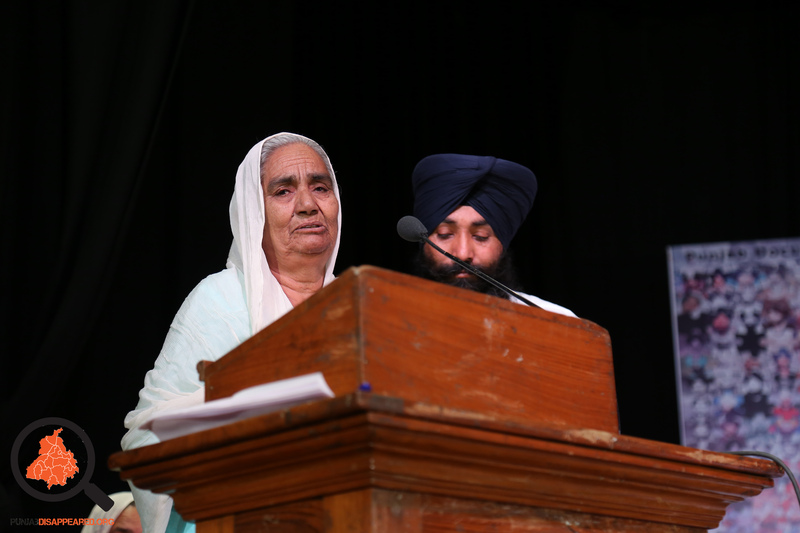 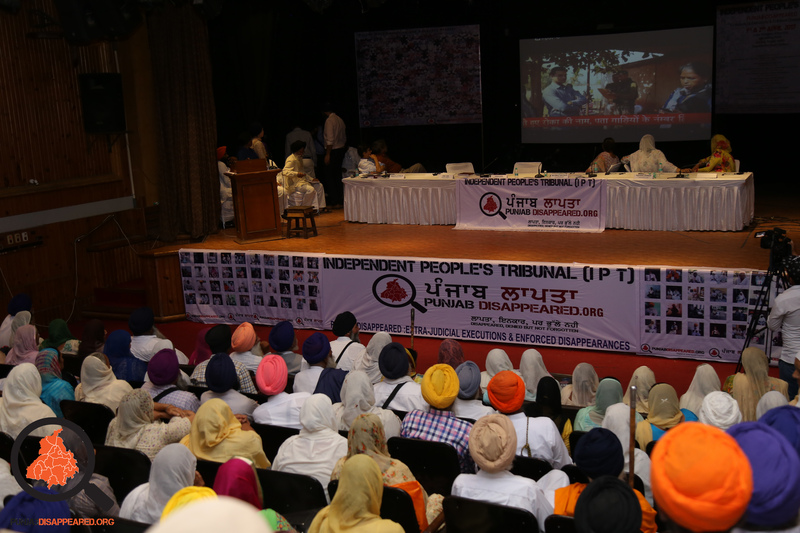 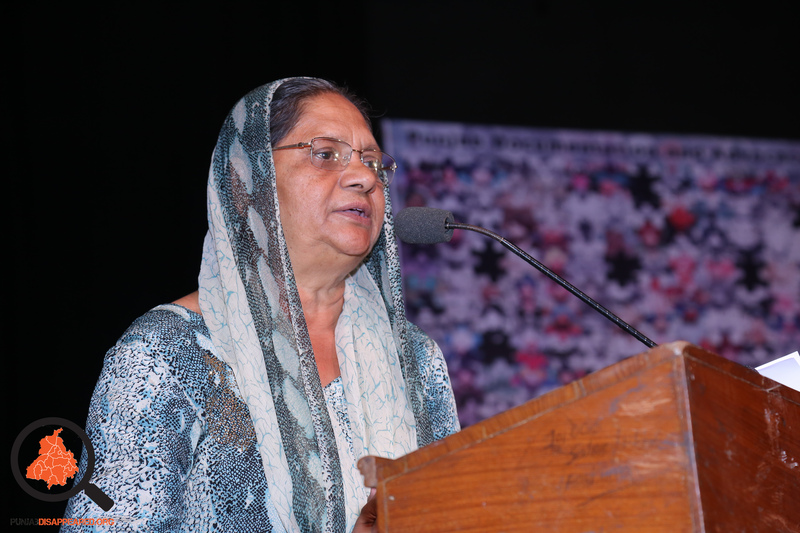 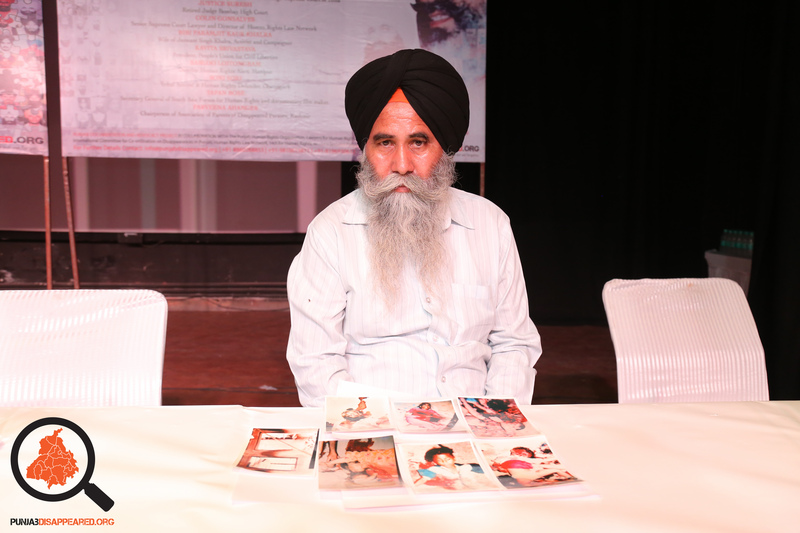 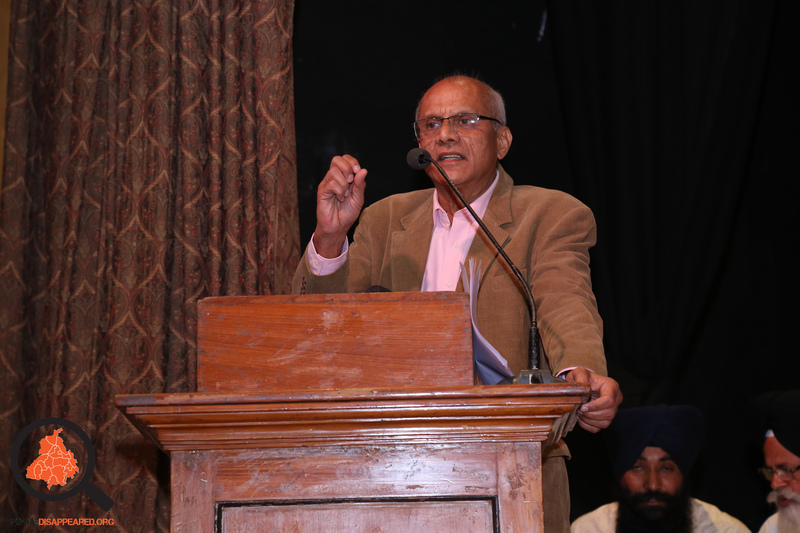 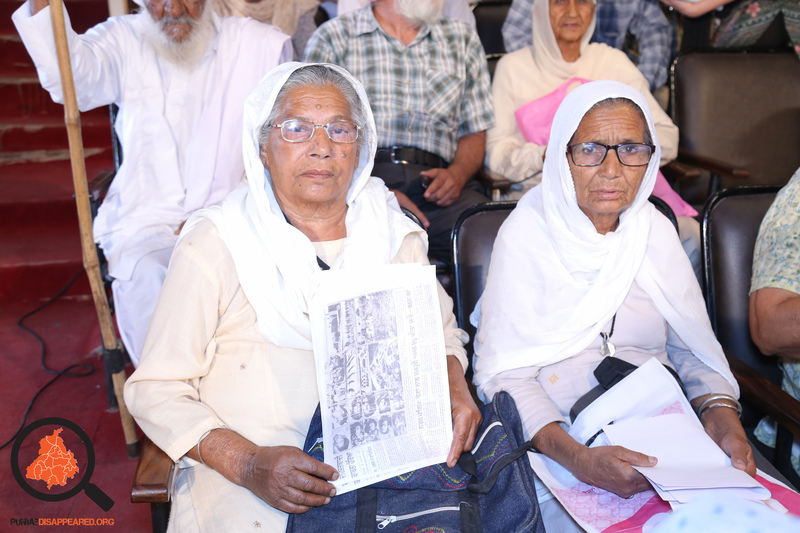 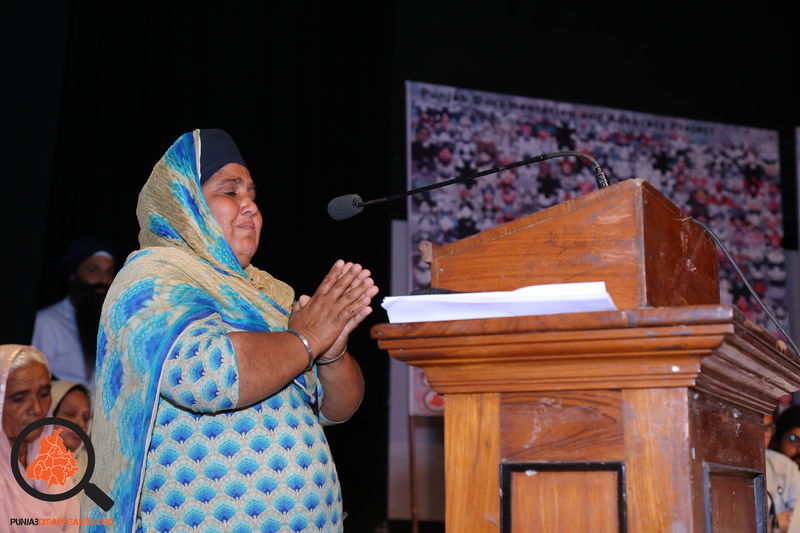 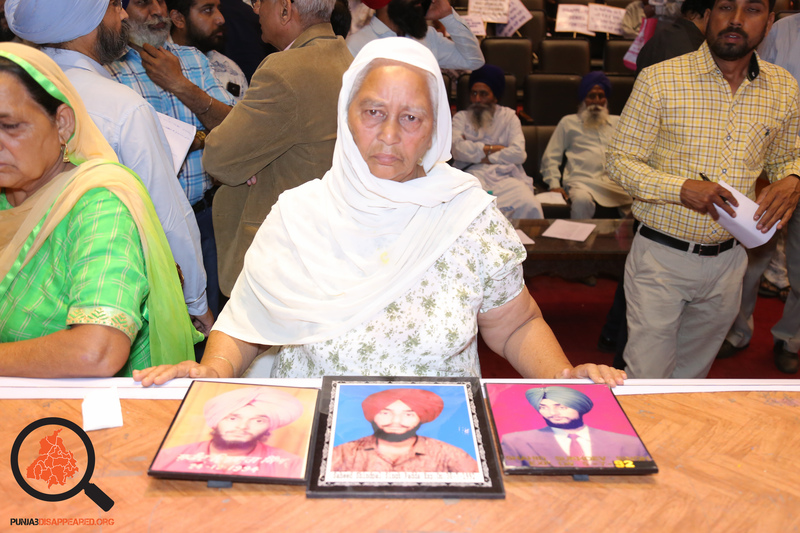 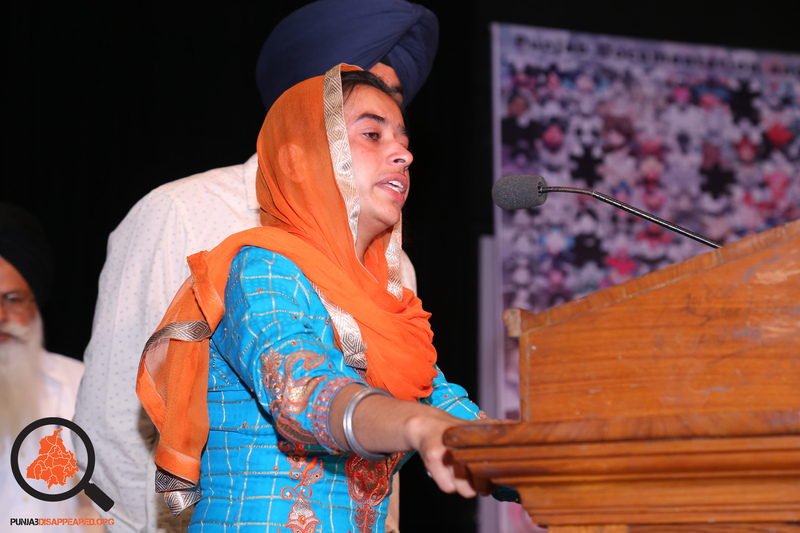 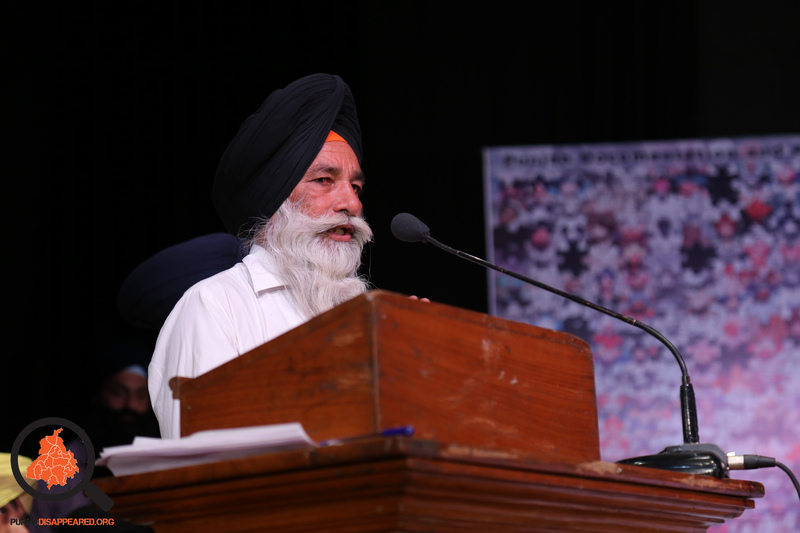 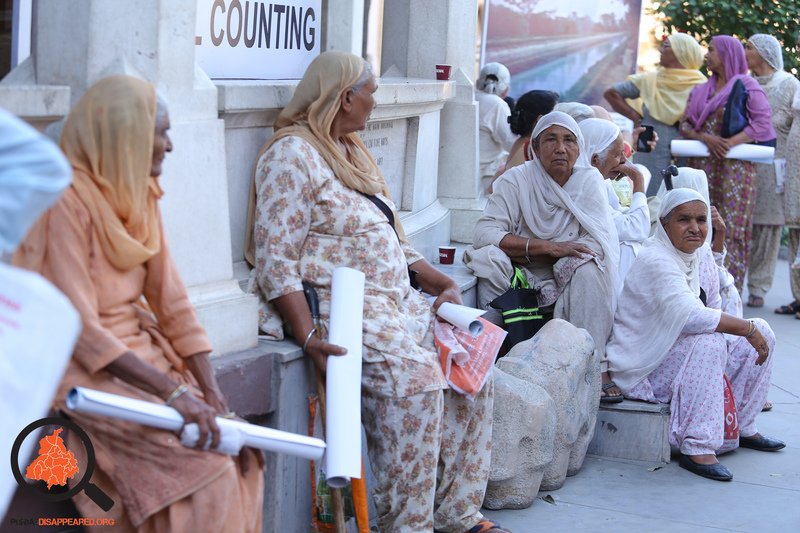 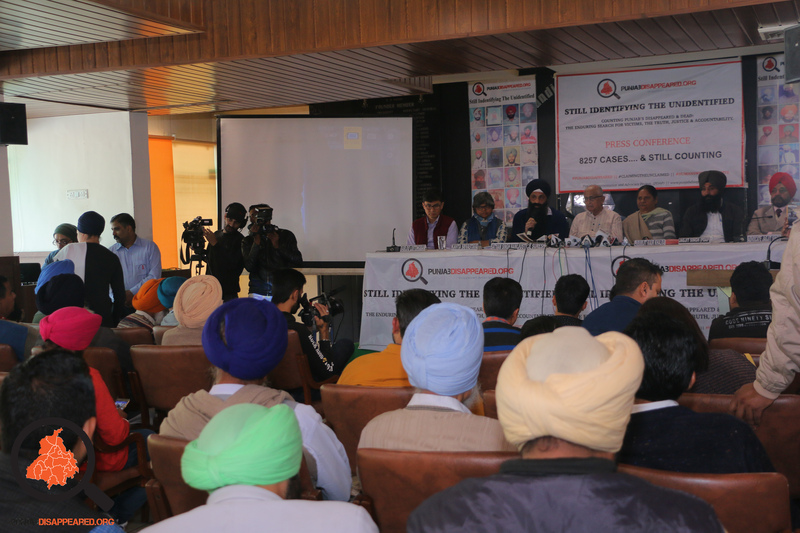 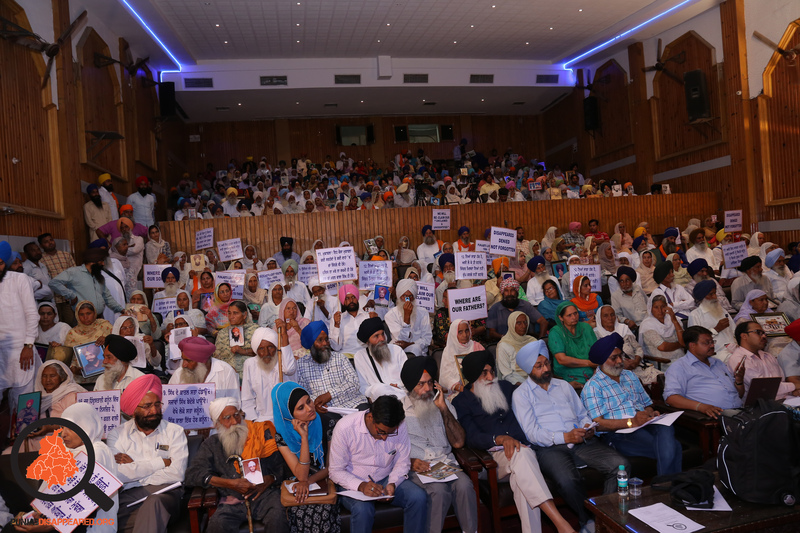 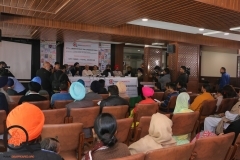 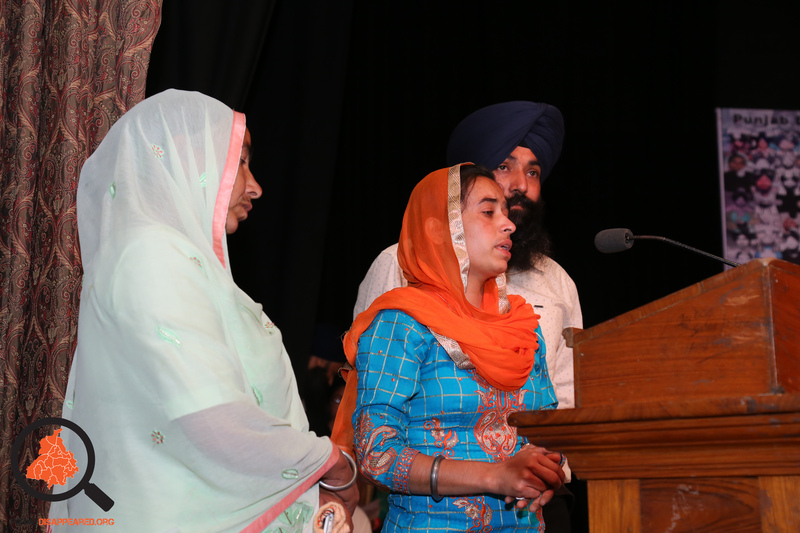 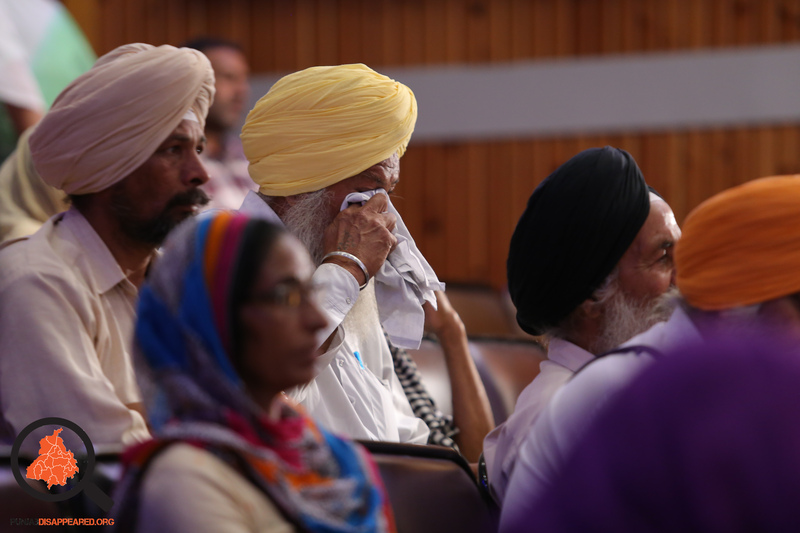 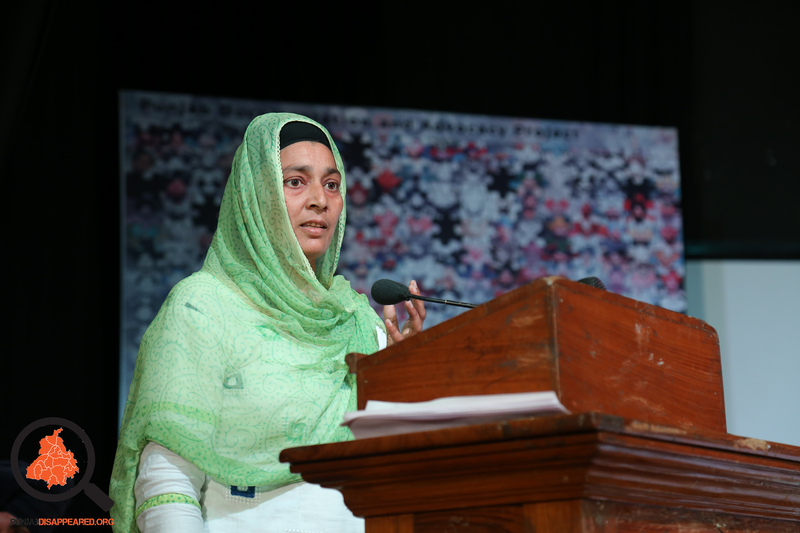 Our initial investigations resulted in an Independent People’s Tribunal (IPT) which was held over two days in Amritsar in April, in which a composite panel of retired judiciary, lawyers and activists from across India came together to hear the testimonies of 700 hundred victim families. 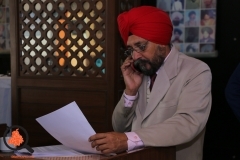 The IPT comprised of Justice A. K. Ganguly (Retd. Supreme Court Judge), Colin Gonsalves (Senior Advocate, Supreme Court), Kavita Srivastava (National Convener, PUCL), Bibi Paramjit Kaur Khalra (Khalra Mission Organisation), Justice Suresh (Retd. 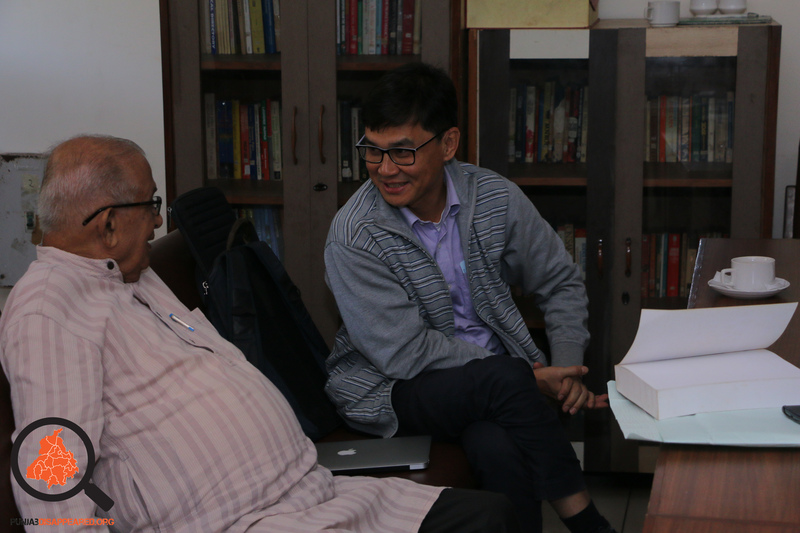 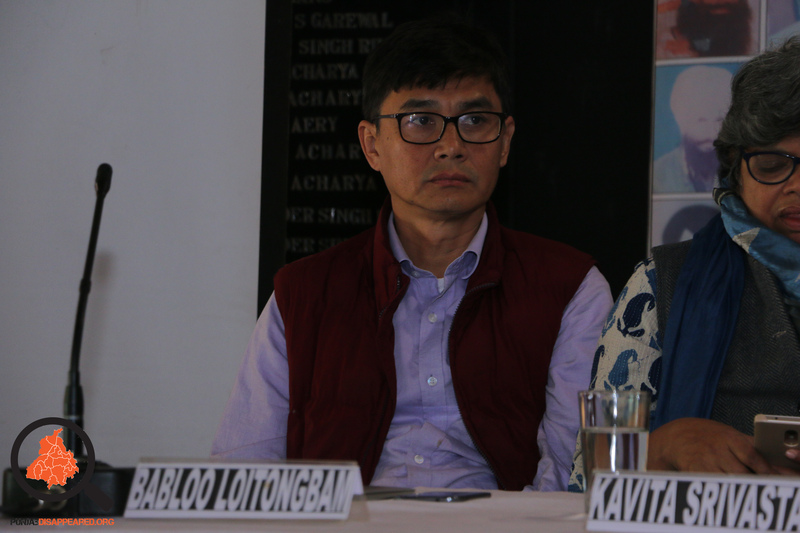 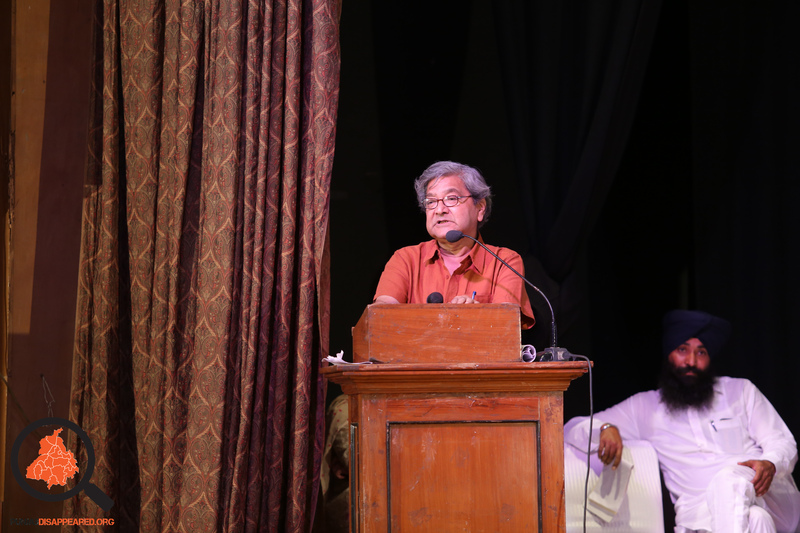 Bombay High Court Judge), Babloo Loitongbam (Human Rights Alert, Manipur), Tapan Bose (Sec. 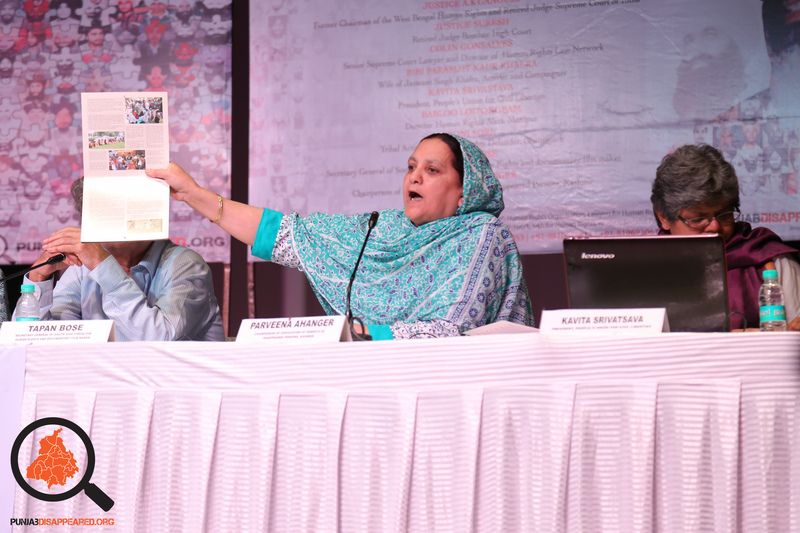 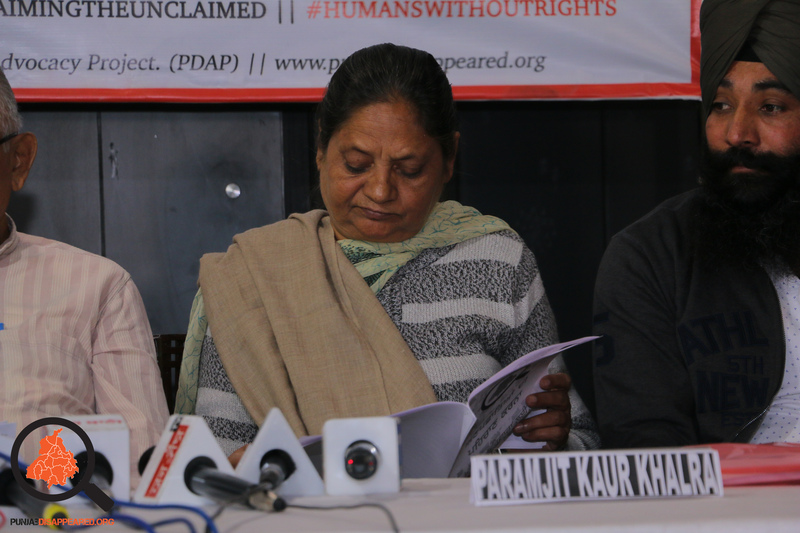 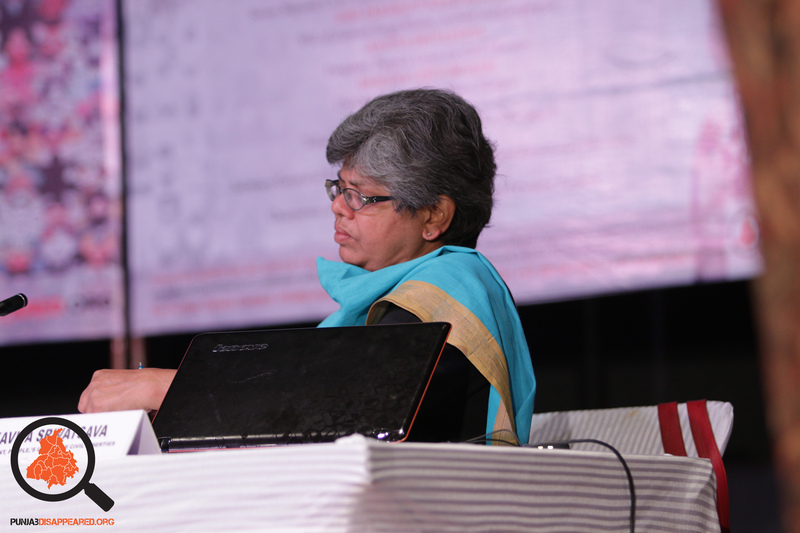 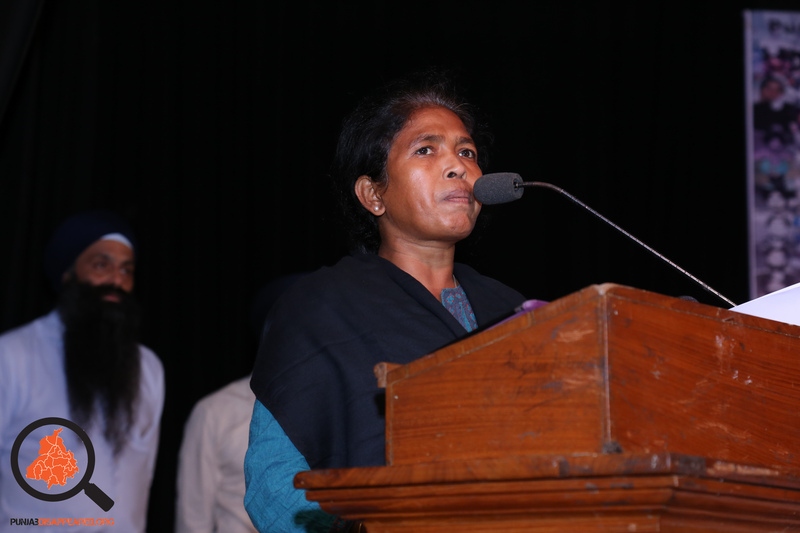 Gen South Asian Human Rights Forum), Soni Sori (Tribal Rights Activist, Chhattisgarh), and Parveena Ahangar (Association of Parents of Disappeared Persons, Kashmir). 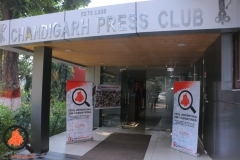 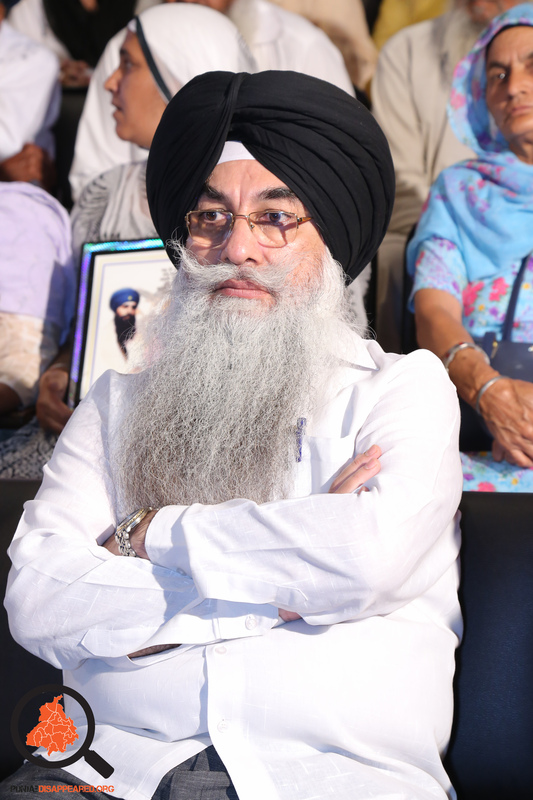 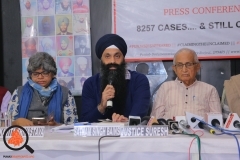 The report also critically considers the on-going failings by the National Human Rights Commission in the “Punjab Mass Cremations” case based on the work of murdered human rights activist Jaswant Singh Khalra in 1995, who first exposed and uncovered 2097 mass killings and cremations in three cremation grounds in the district of Amritsar. 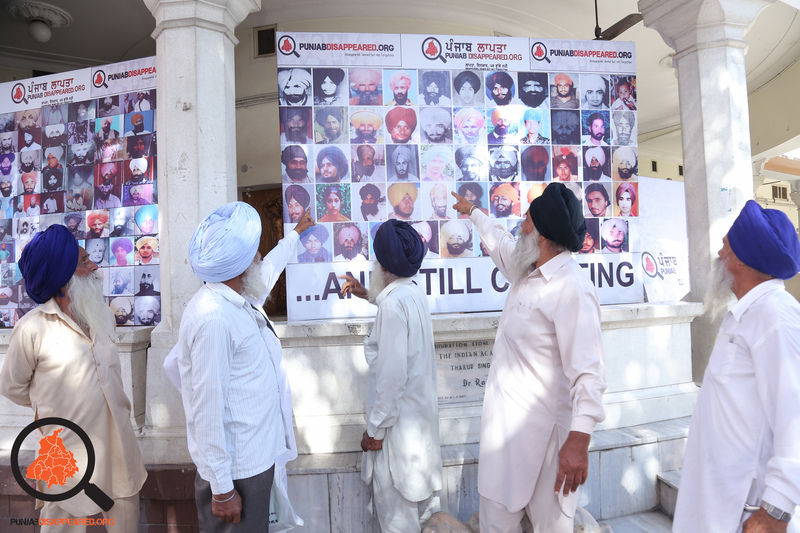 We continue his work which remains unfinished and presents only a partial picture of the actual number of killings that took place in Punjab. 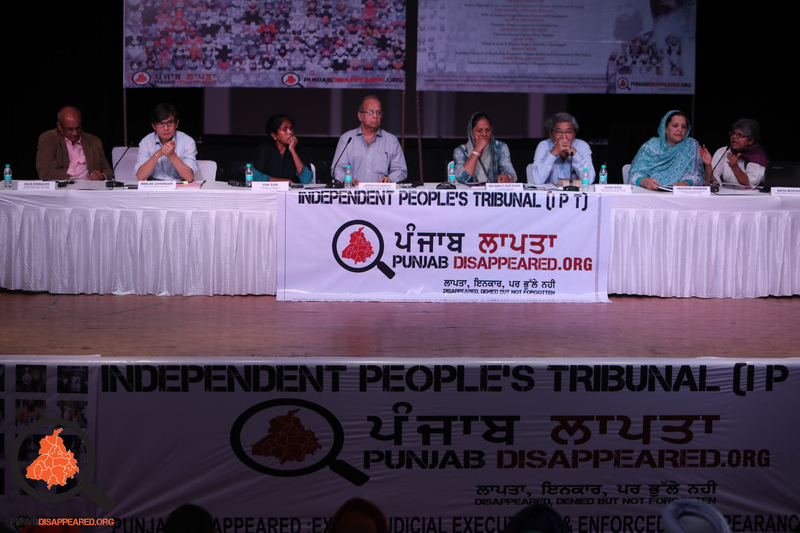 The Independent People’s Tribunal: Carrying the scars, burden and legacy of survivors. 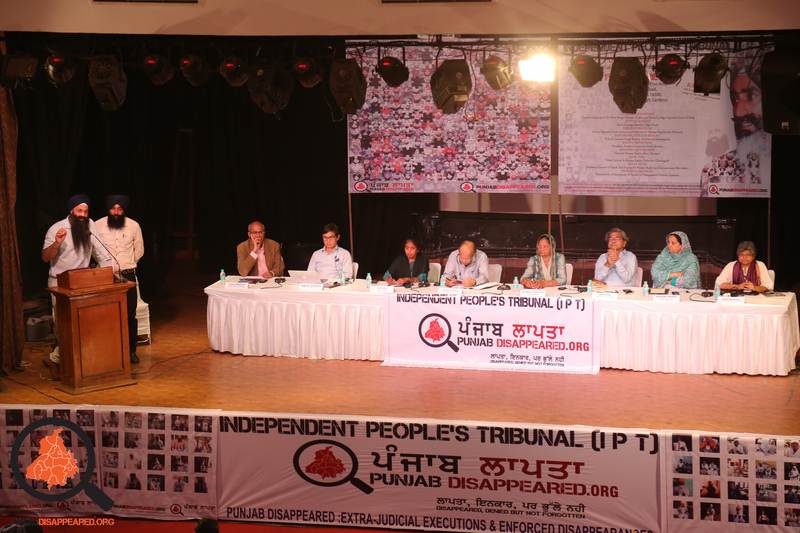 On the 1st and 2nd April 2017, we convened an Independent Peoples’ Tribunal (IPT) in Amritsar. 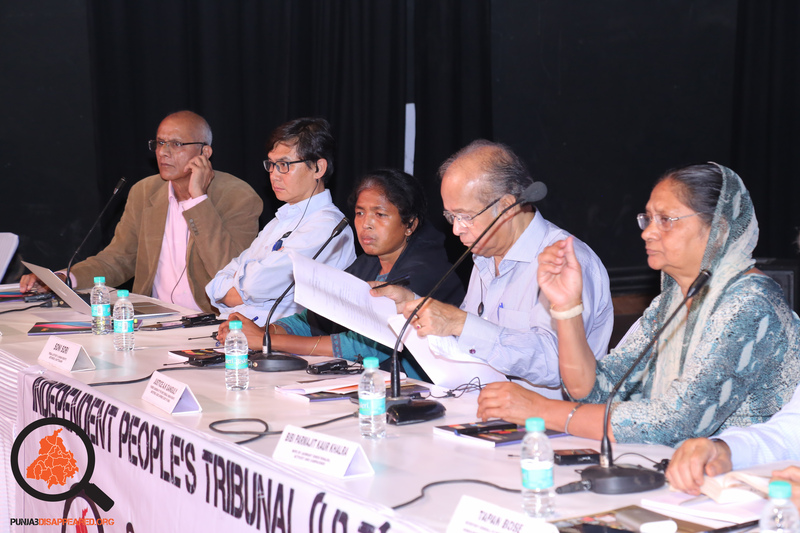 Such tribunals play an important role in analysing why the judicial system has been incapable and unwilling to redress serious violations of fundamental rights and highlights institutional failures. 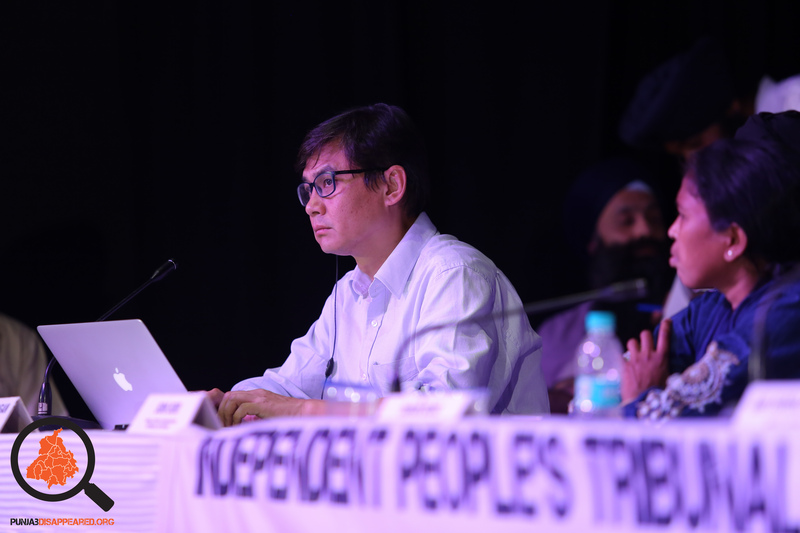 In the Indian context, IPT’s have played a significant role in providing a platform for those disenfranchised and exert a moral pressure on the judiciary to act. 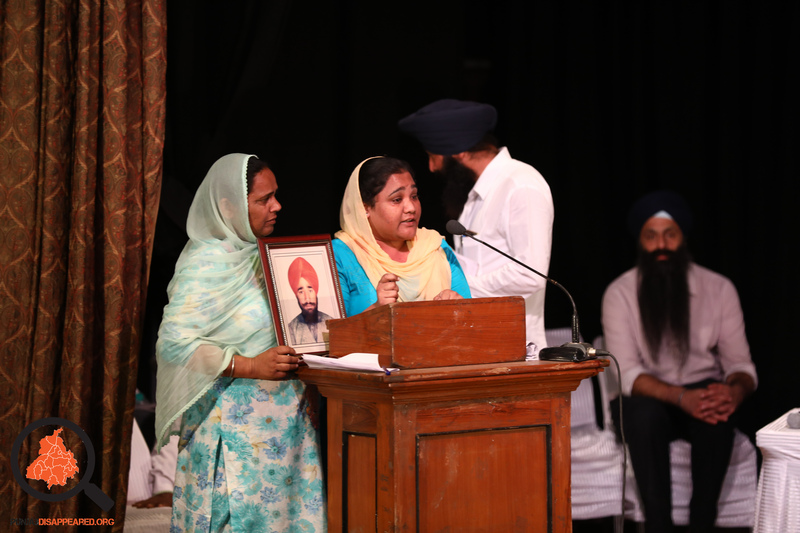 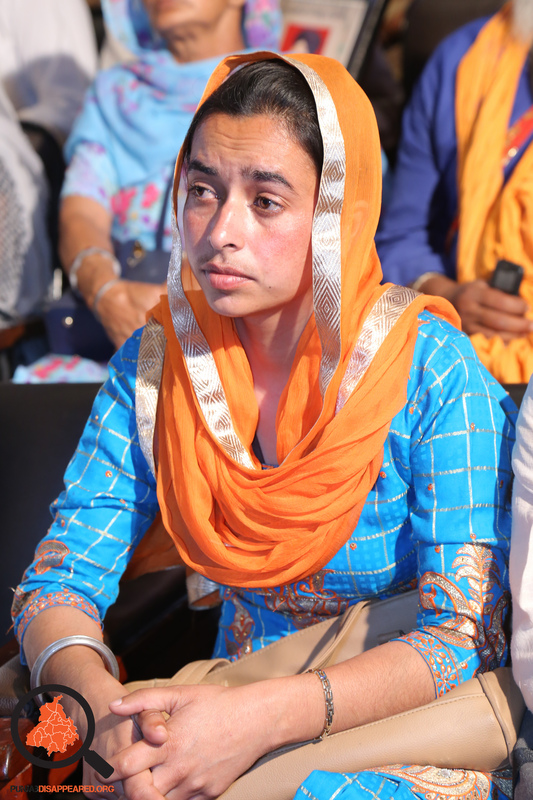 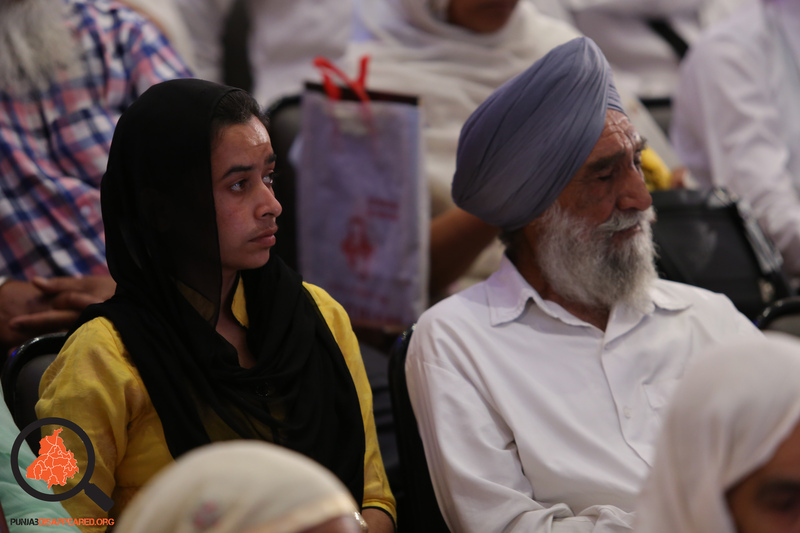 We felt that in the Punjab context, such an endeavour was particularly important to give many victims an opportunity otherwise denied to them to have their voices heard. 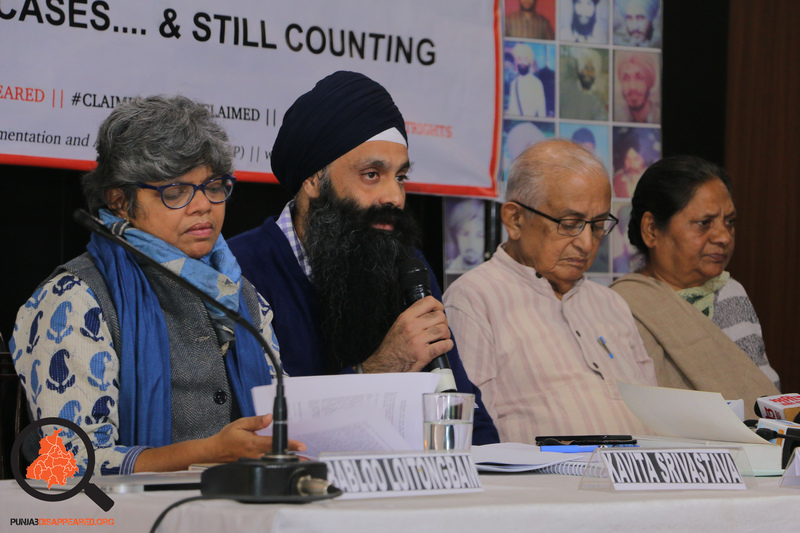 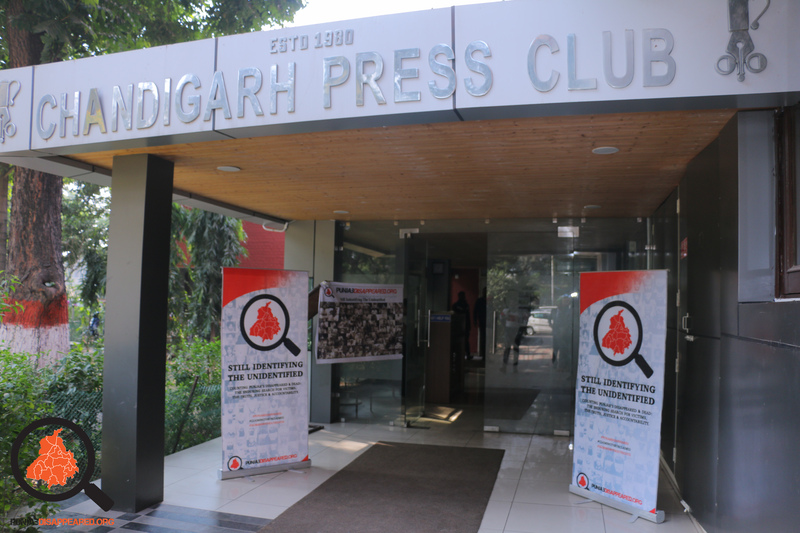 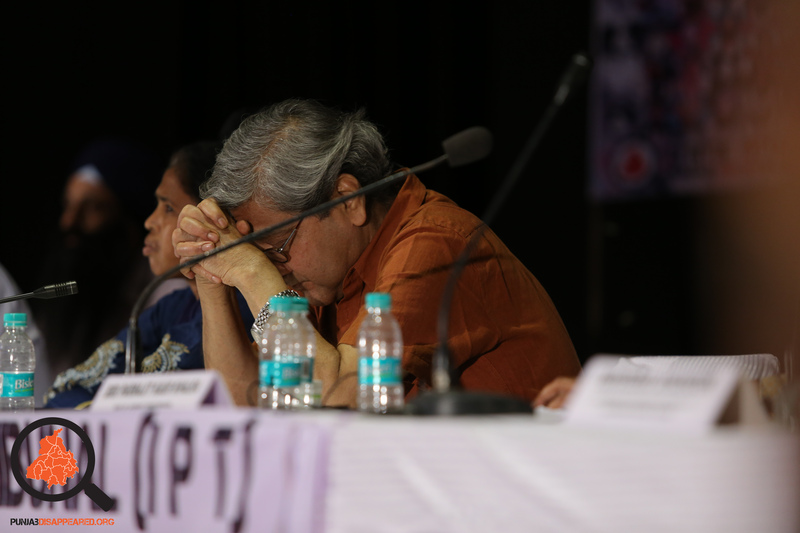 Over two days, a composite panel of retired judiciary and prominent activists and academics from across India heard many testimonies of the forgotten survivors whose loved ones had disappeared. 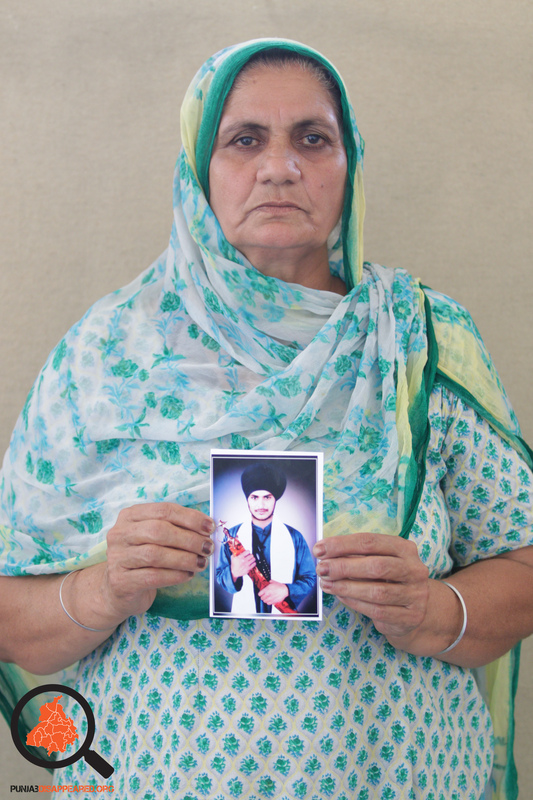 Most victims were themselves victims of torture. 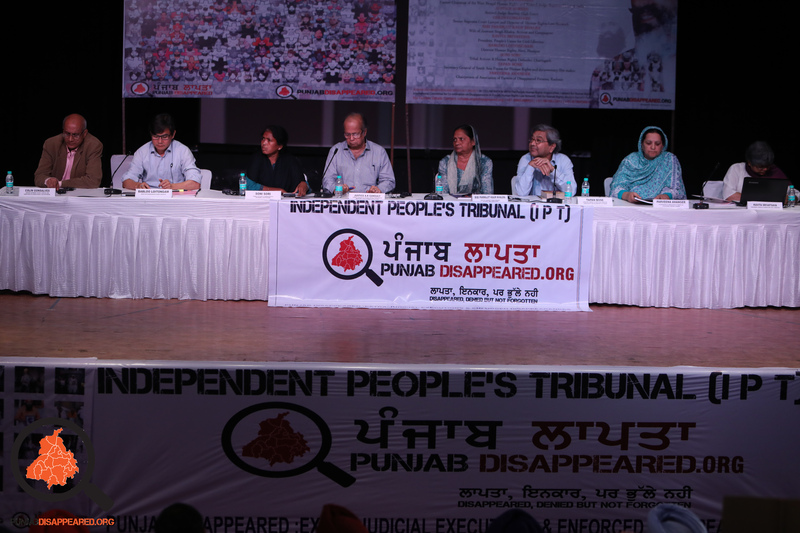 It is a sad indictment on the system of justice In India that the phenomena of Independent Peoples’ Tribunal or Indian Peoples’ Tribunal have become an alternative forum for victims to narrate their experiences when courts have failed them. 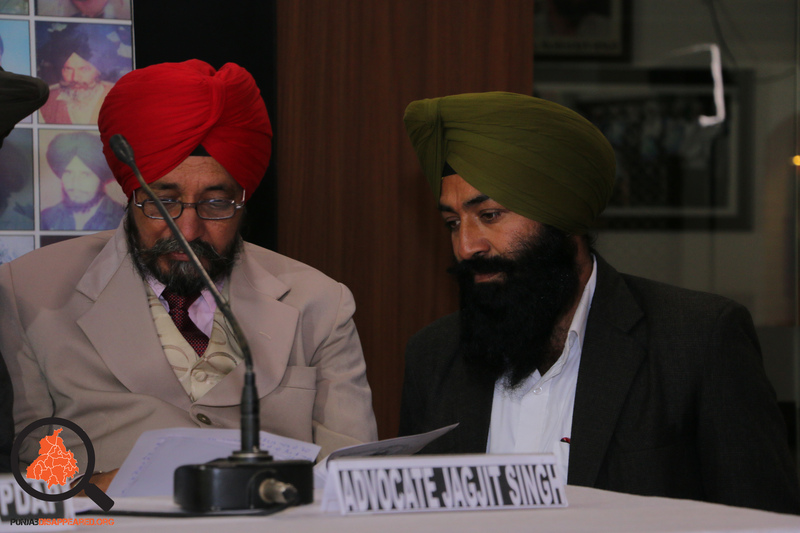 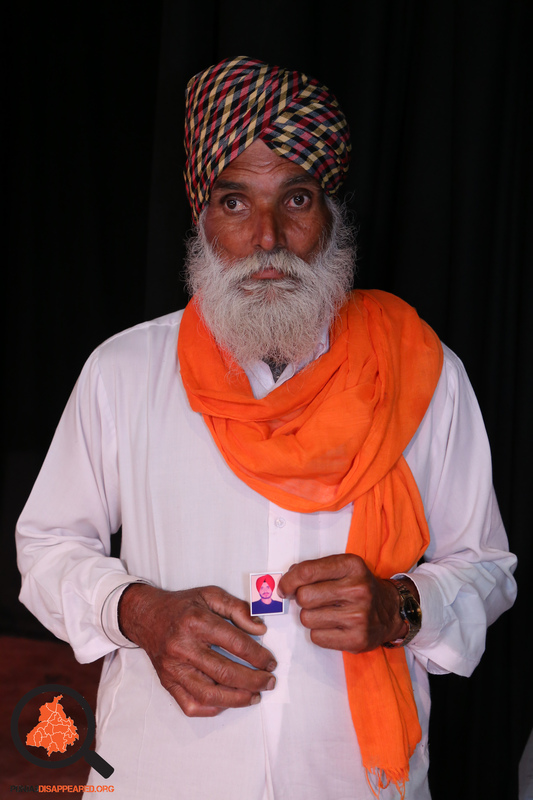 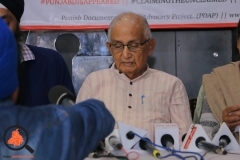 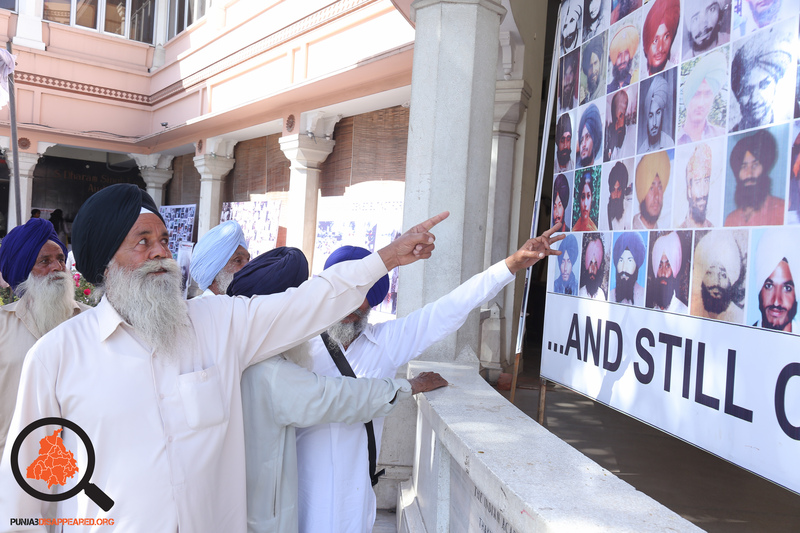 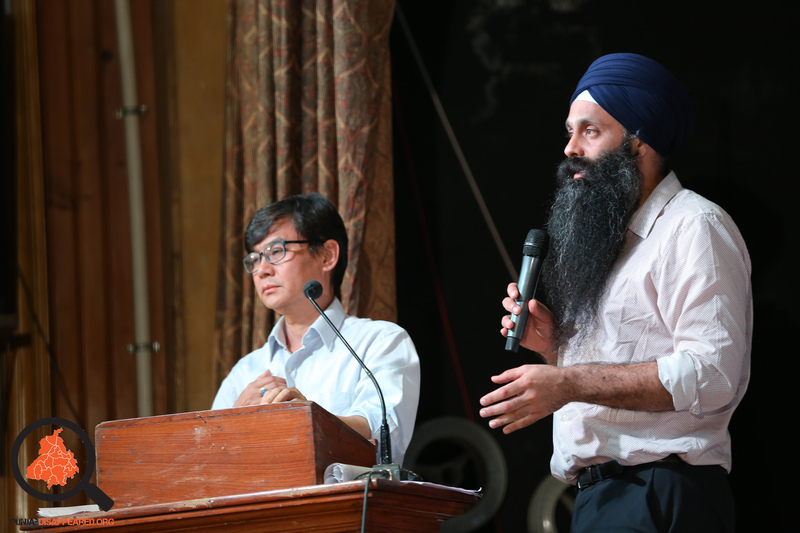 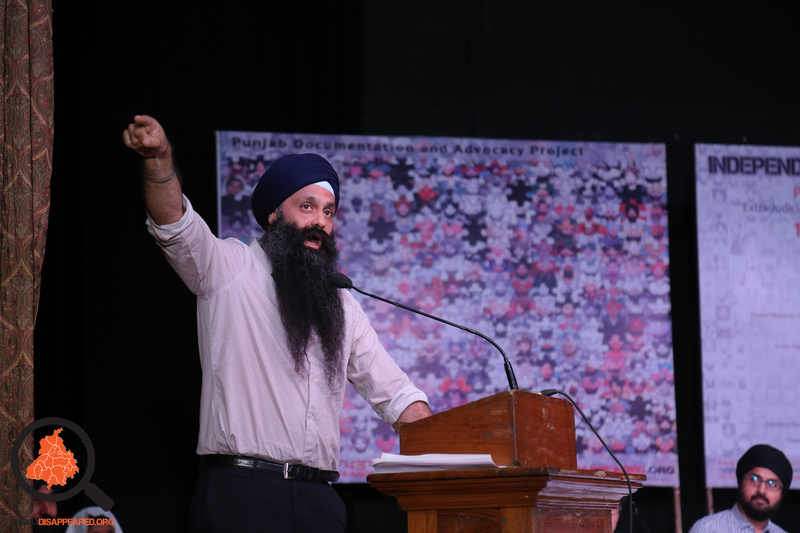 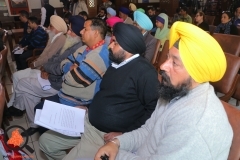 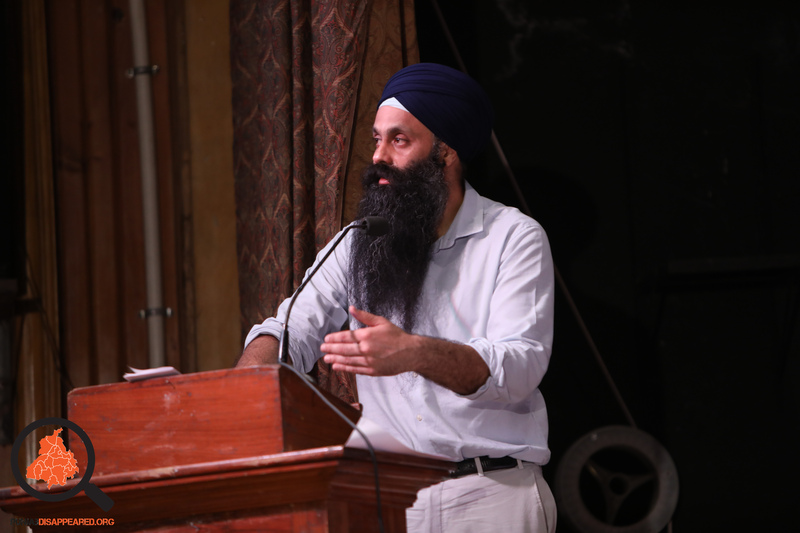 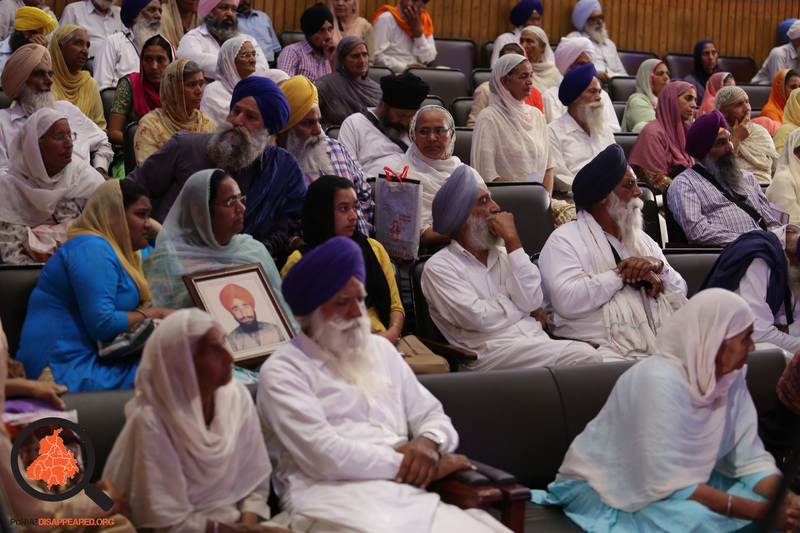 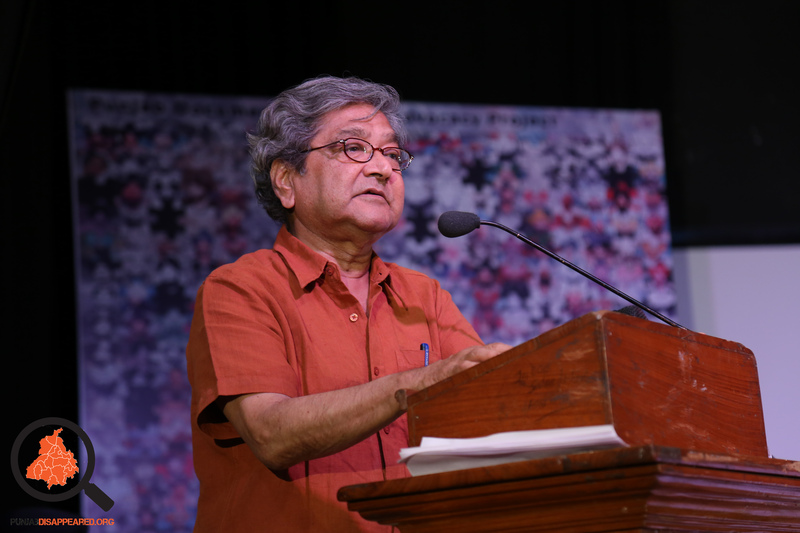 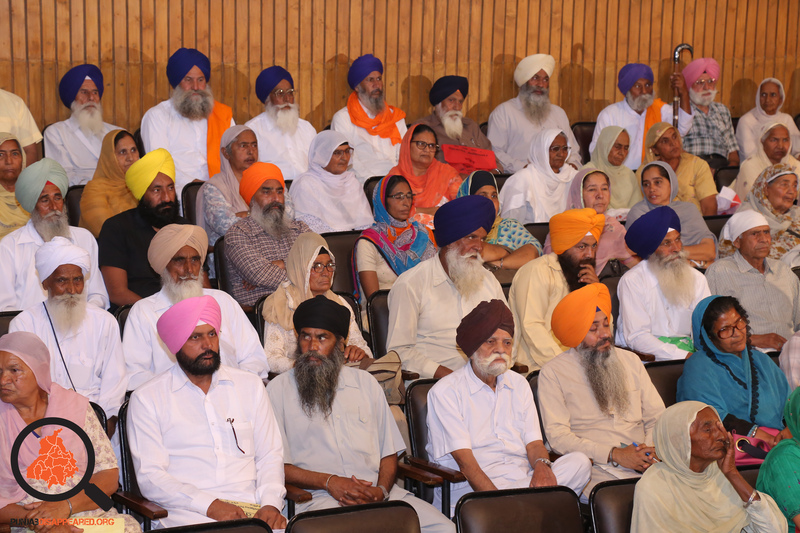 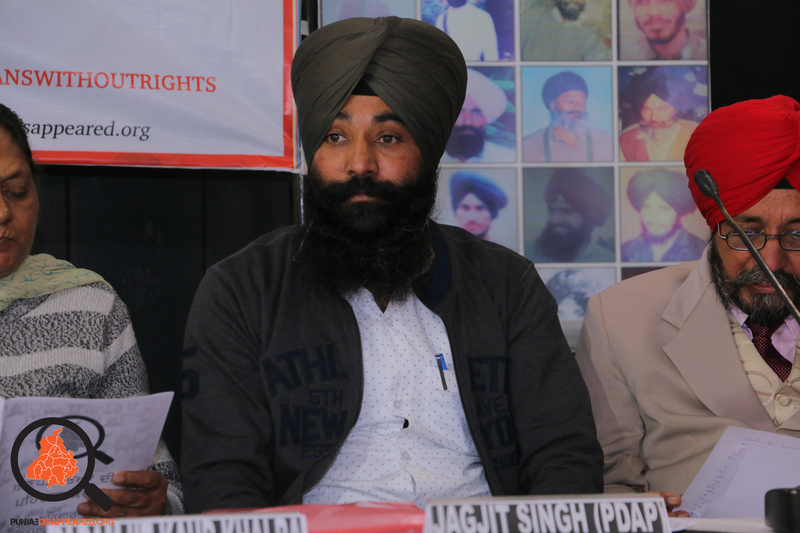 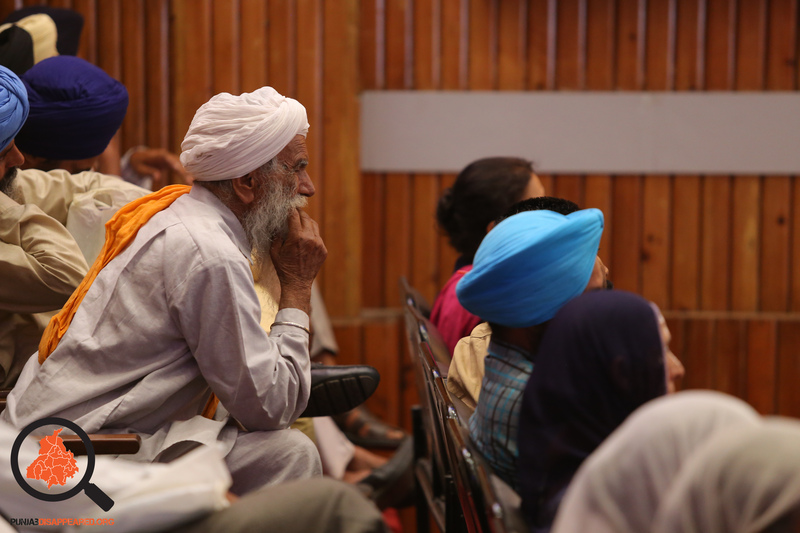 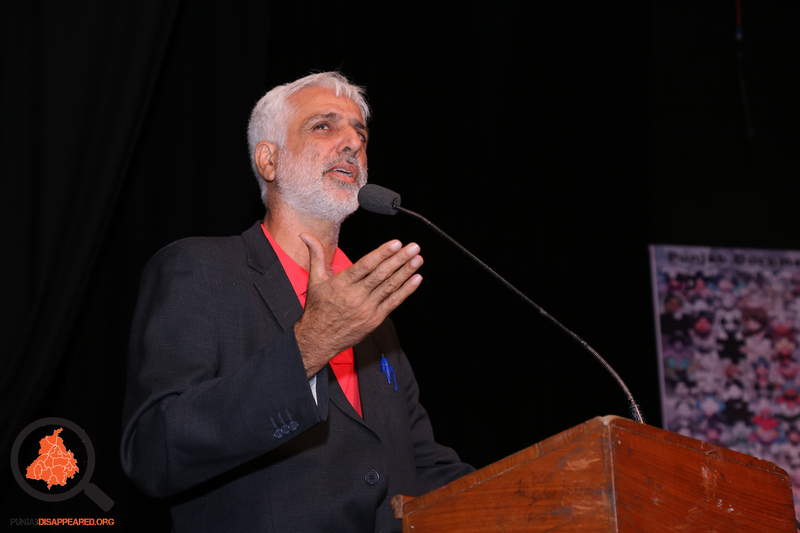 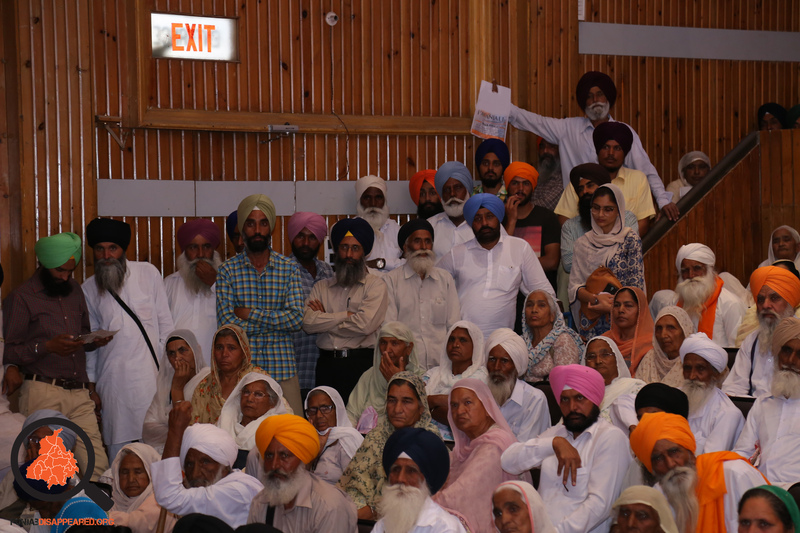 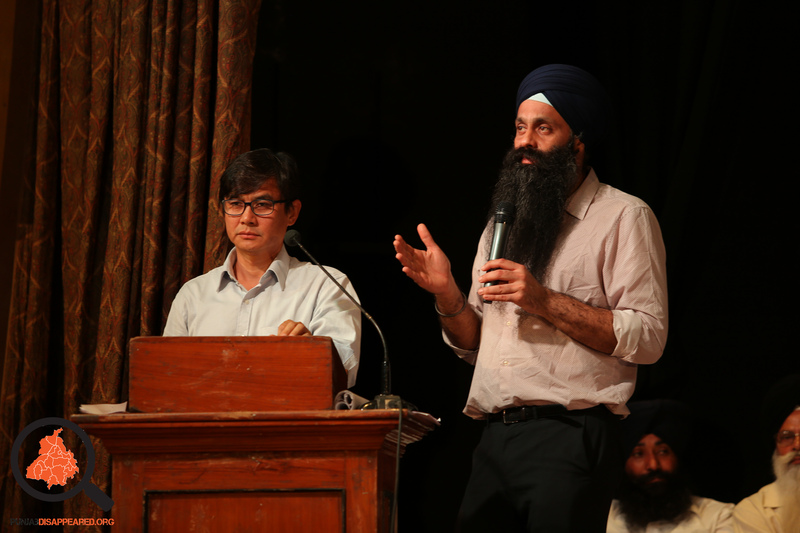 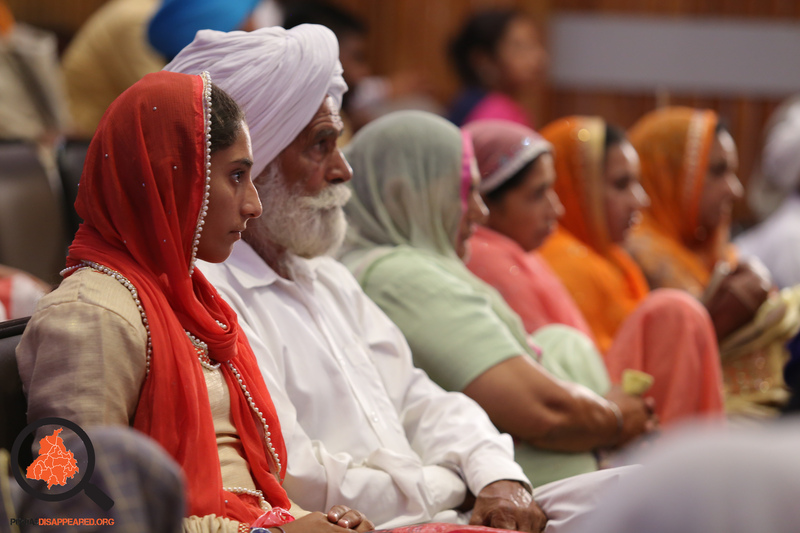 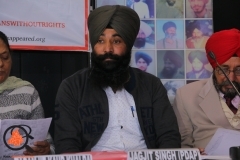 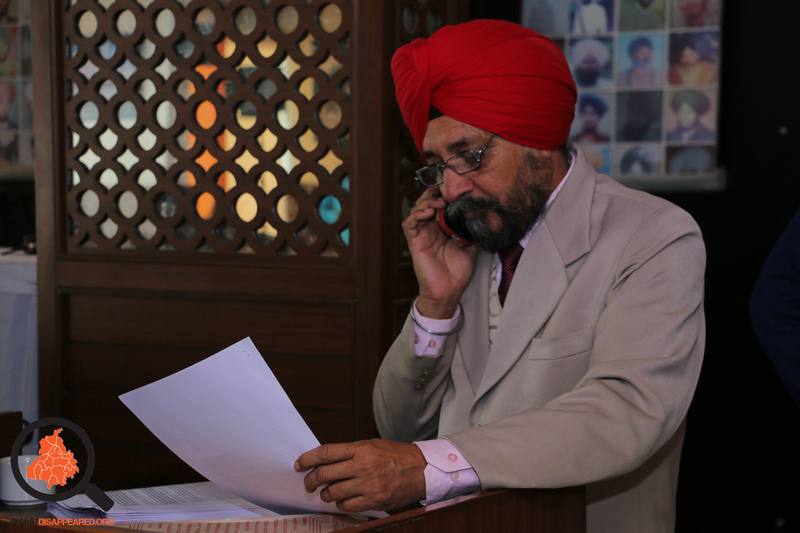 The IPT also heard expert evidence from human rights lawyers and activists from Punjab – of their own experiences and long and endless struggle for justice, and the repeated accounts of endemic failures of the judicial process to investigate, prosecute, and hold to account those responsible for mass state violence. 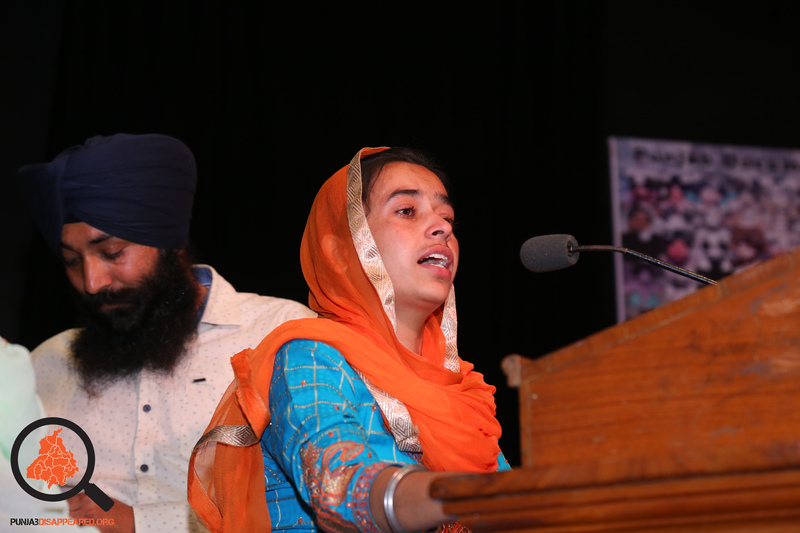 We were overwhelmed by the response. 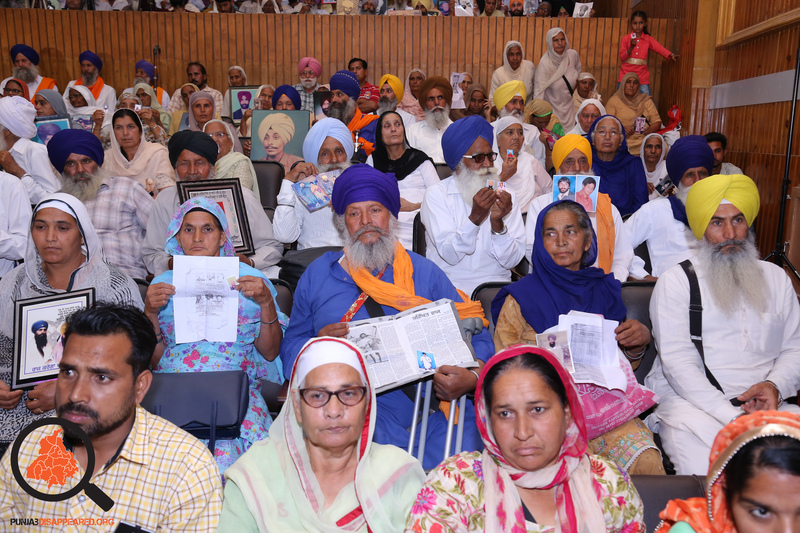 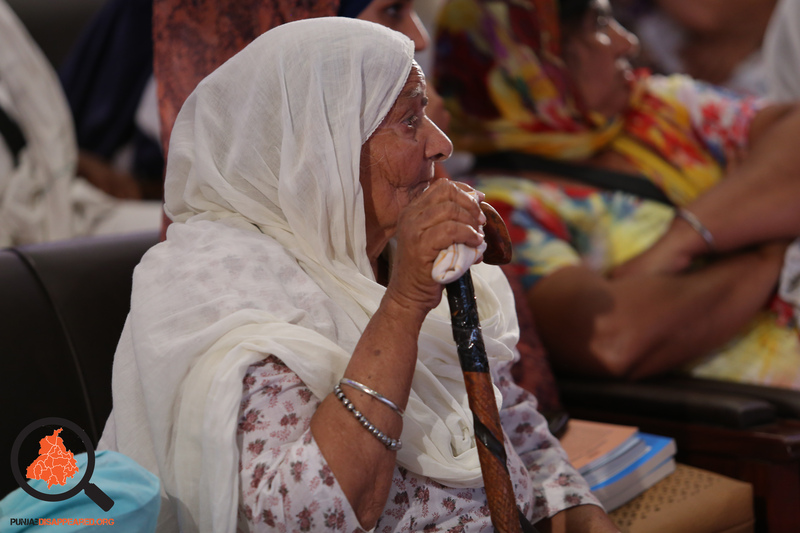 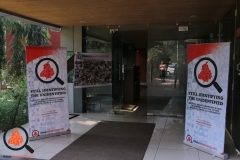 Over 700 victim families and survivors attended over two days. 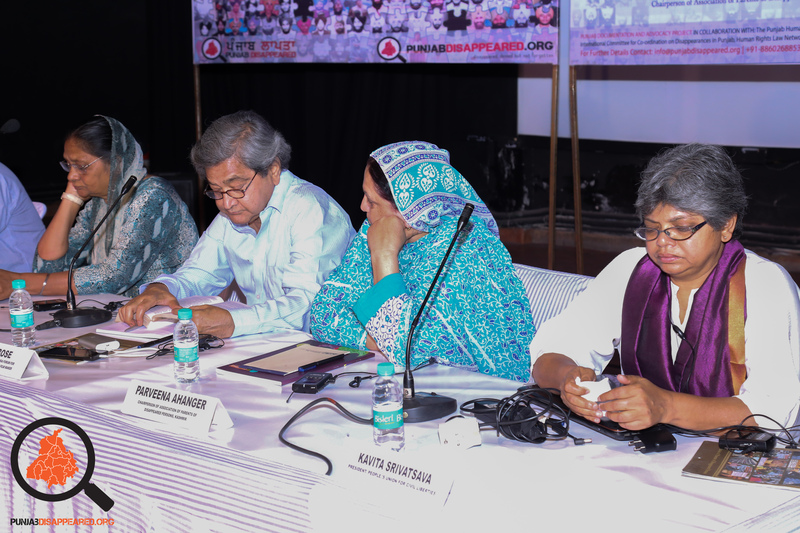 Due to the sheer numbers and constraints of time, we regret that all the victims were not able to depose before the panel. 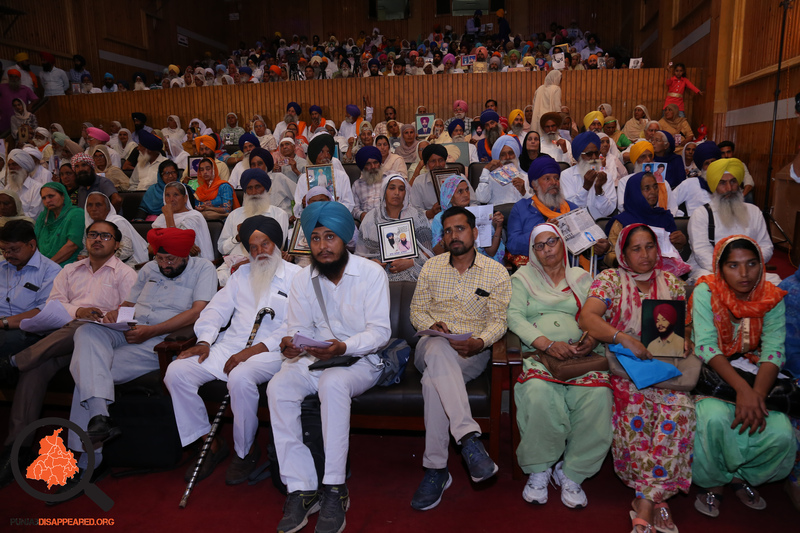 There were diverse cases from all over Punjab, which include those from Amritsar whose loved ones were cremated in the three cremation grounds as well others cases across Punjab of unclaimed unidentified cremations. 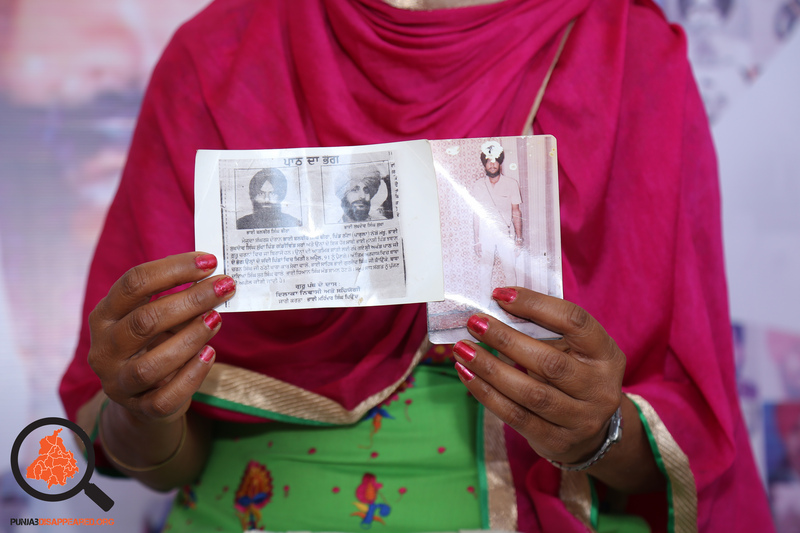 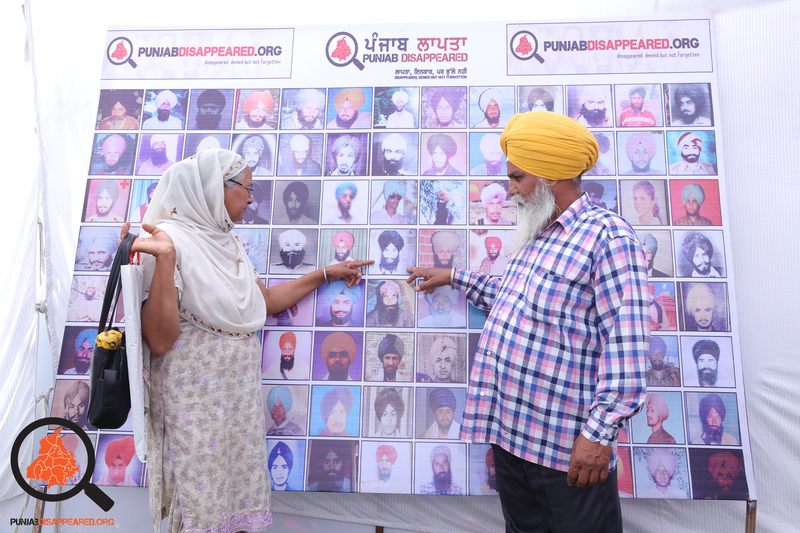 Cases where the victims were disappeared or killed outside of Punjab. 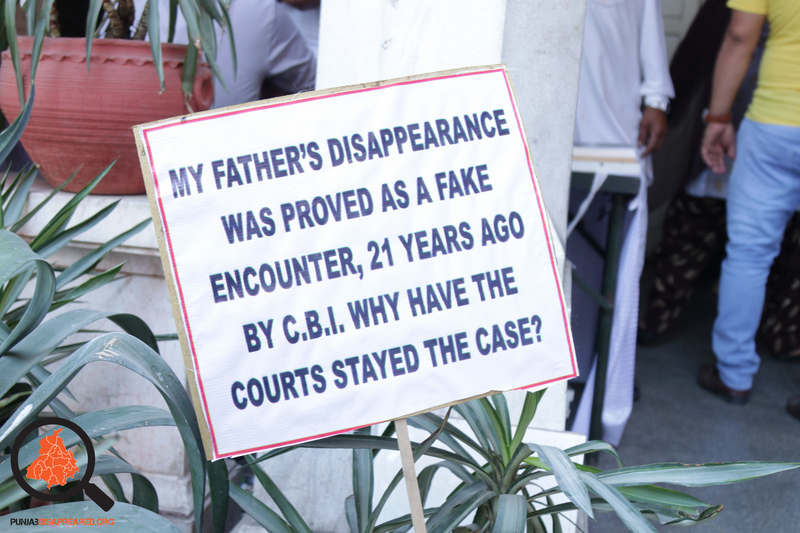 Cases investigated by the CBI where a charge sheet had been filed confirming that the encounters were fake yet have been lingering before the Indian Courts for 20 years or more. 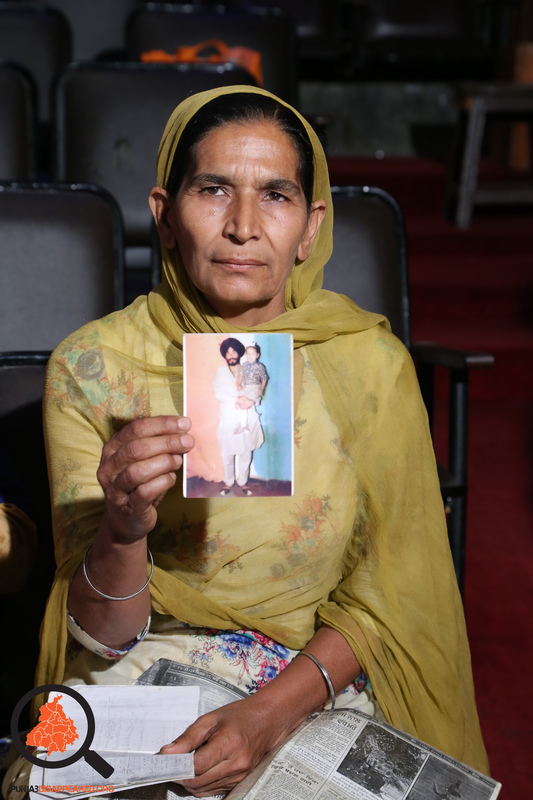 The common themes in these cases are the persistent denial of justice and access to justice. 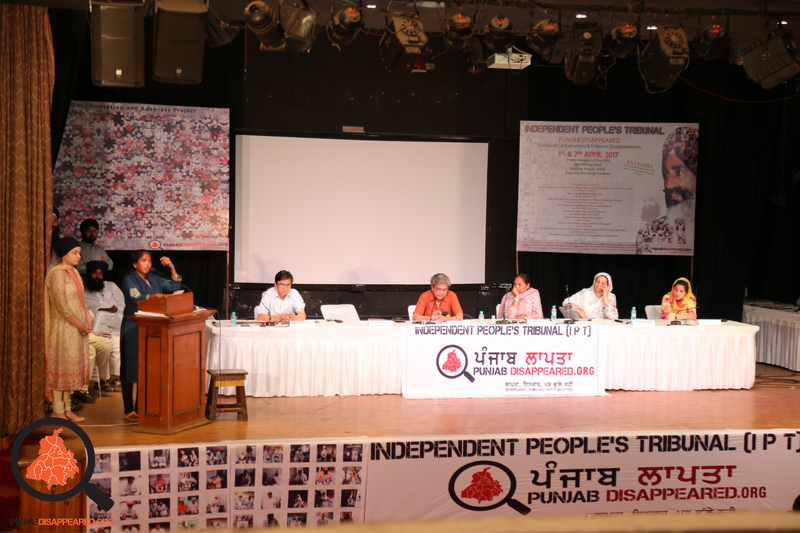 The Punjab Documentation and Advocacy Project (PDAP) in collaboration with Human Rights Law Network, Committee for Co-ordination on Disappearances in Punjab, Lawyers for Human Rights International, the Punjab Human Rights Organisation, Khalra Mission Organisation, Sikhs for Human Rights and many other NGO’s and activists are holding a two-day Independent People’s Tribunal (IPT) on the issues of enforced disappearances, fake encounters and two decades of the denial of justice and accountability in Punjab. the practice of disappearances and extra-judicial killings by taking a victim based approach, offering a platform for the victims to depose before the panel their experiences. 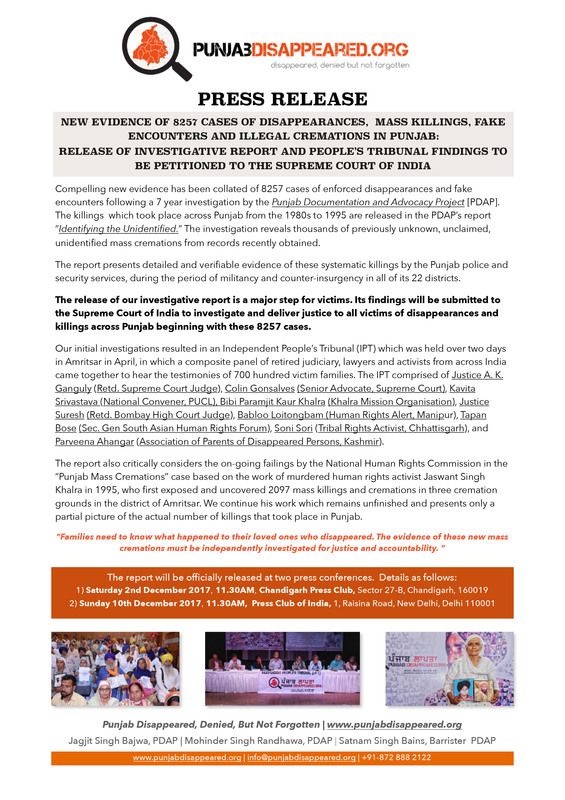 The IPT will hear experiences of lawyers, activists and NGO’s who have pursued cases and struggled for justice and accountability in Punjab. 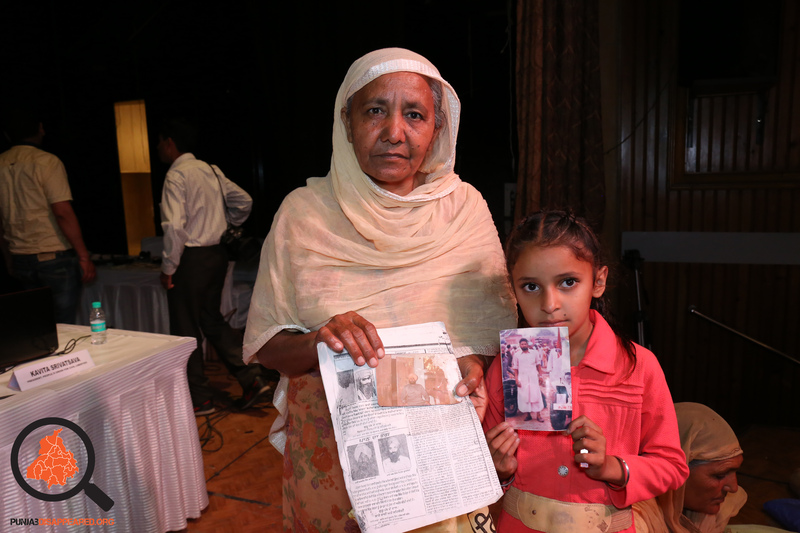 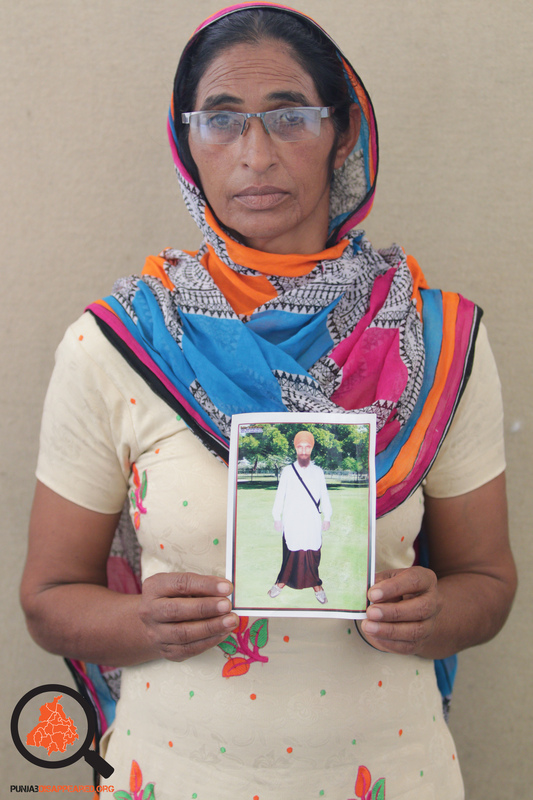 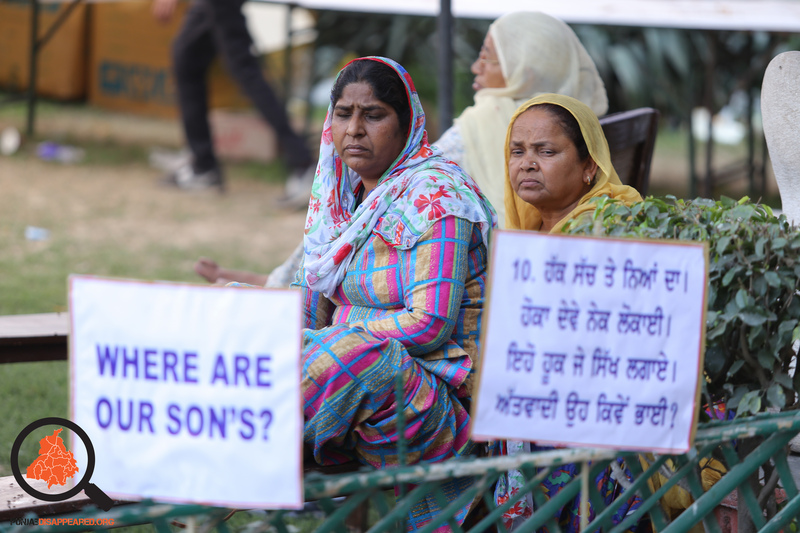 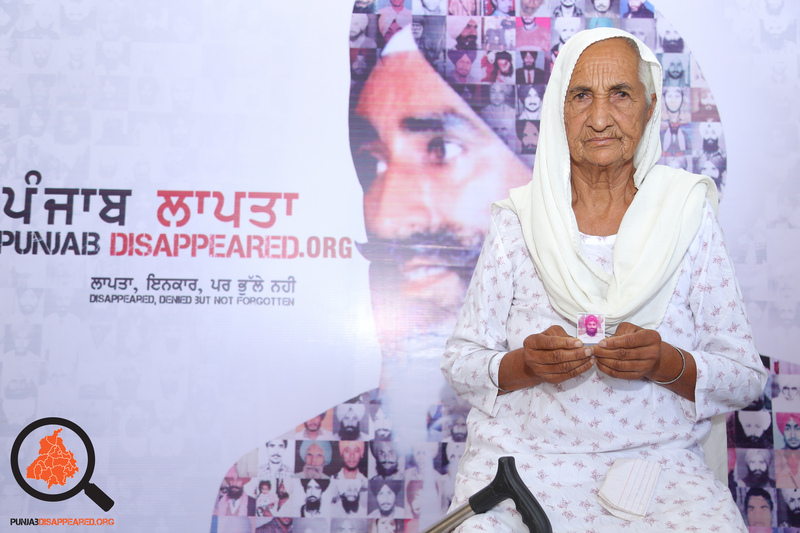 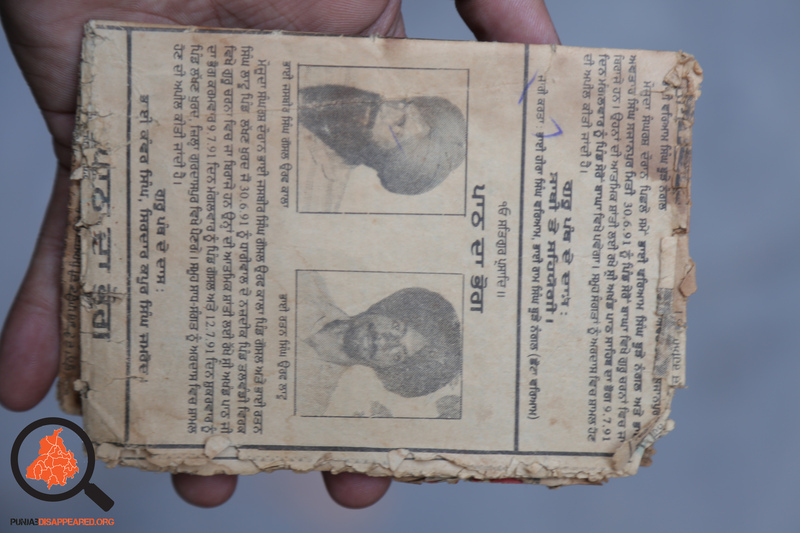 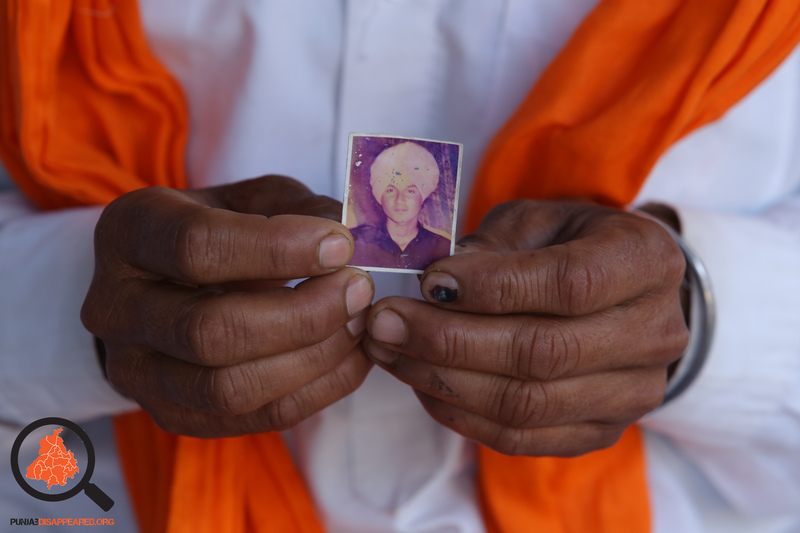 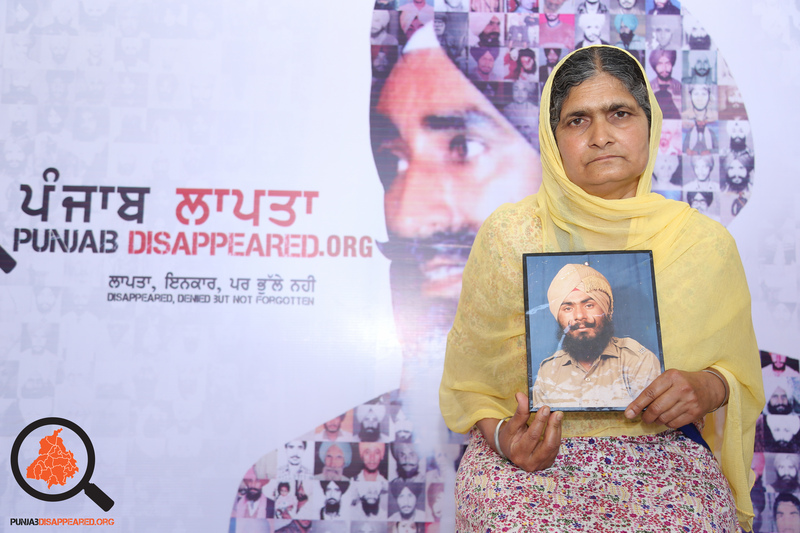 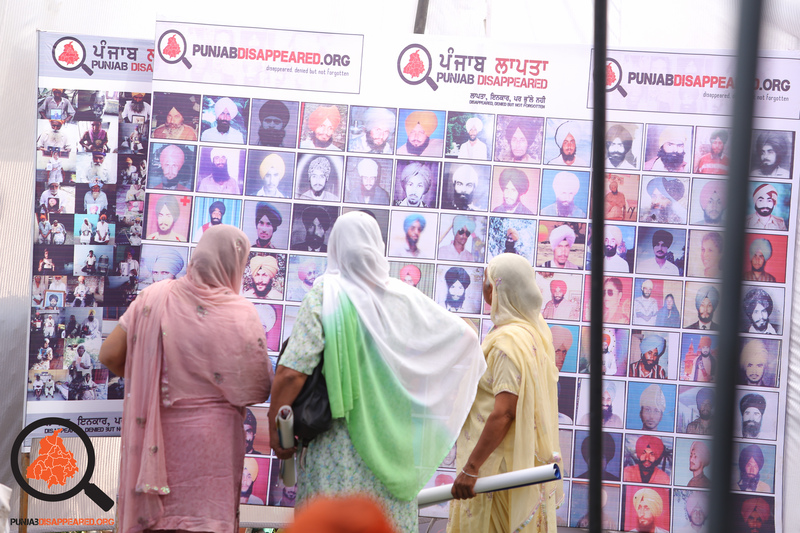 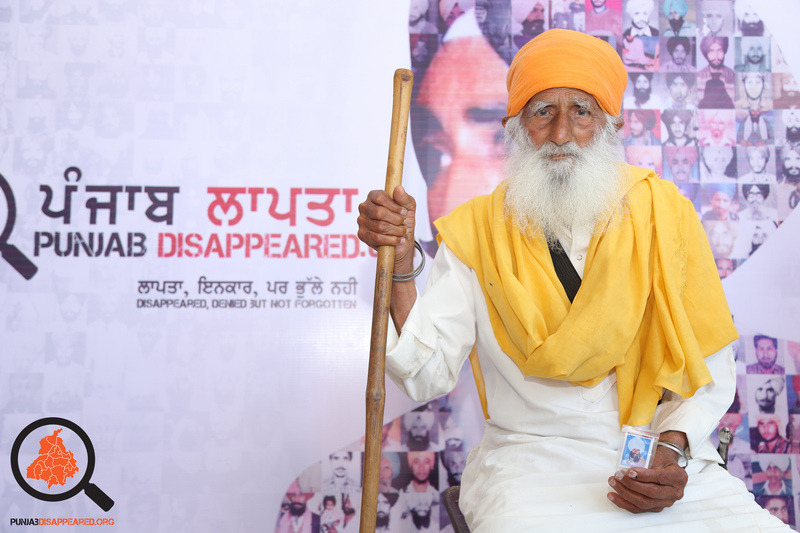 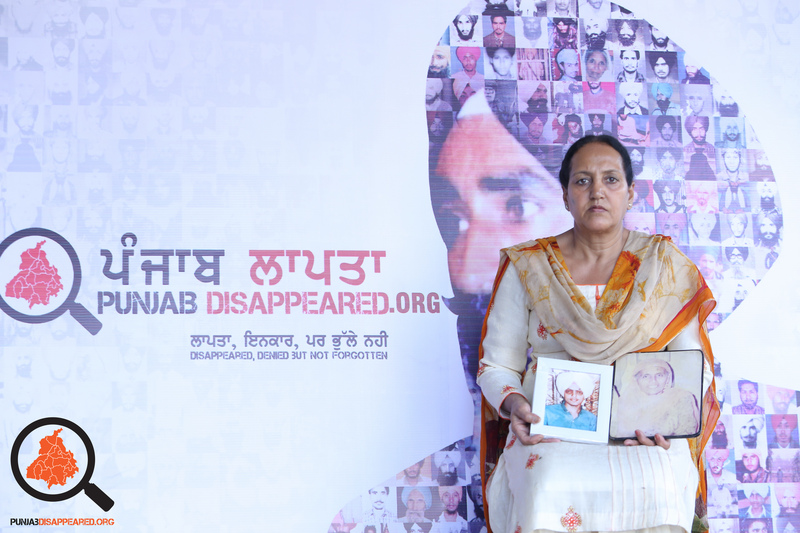 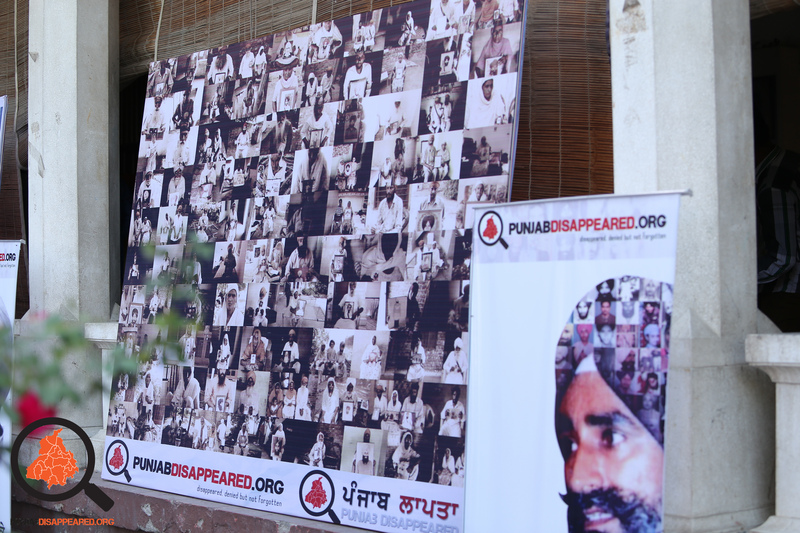 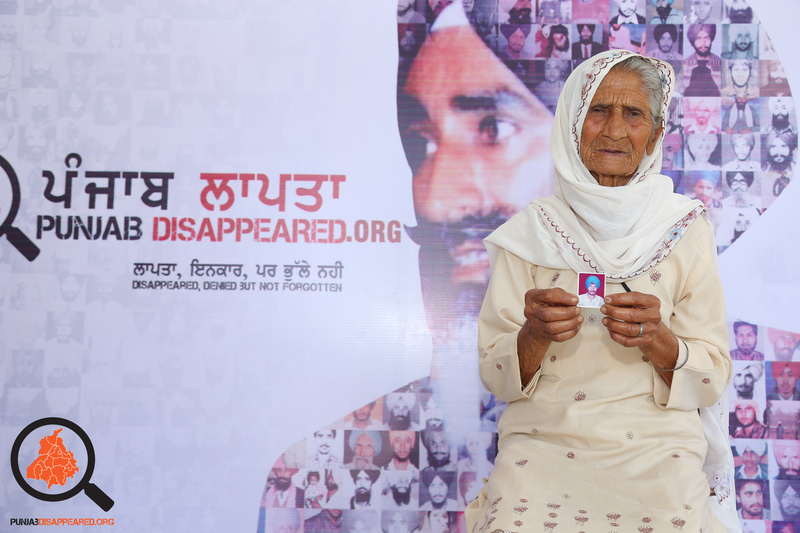 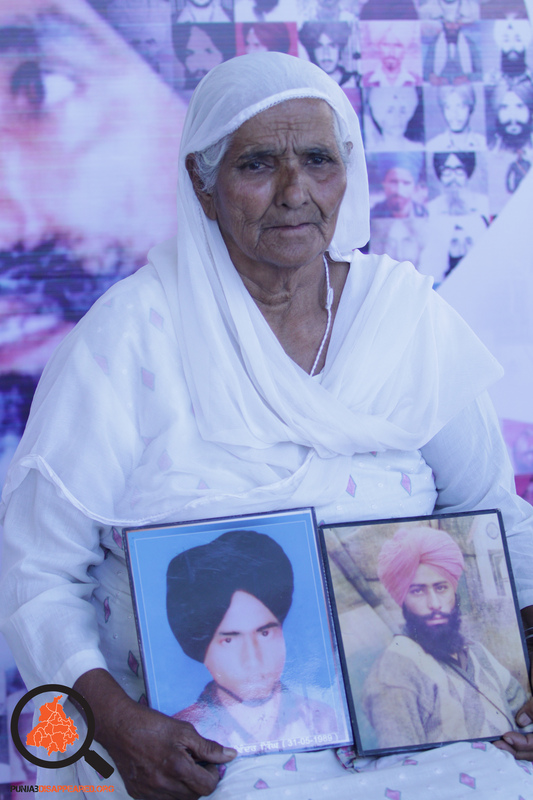 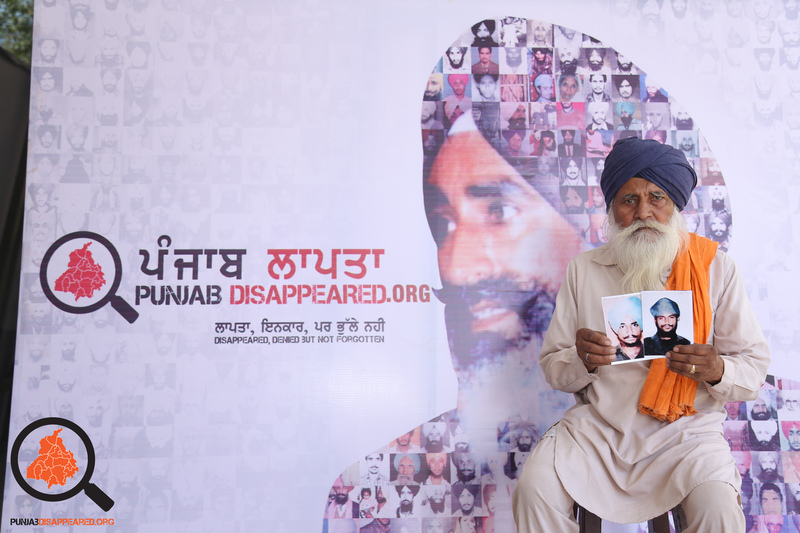 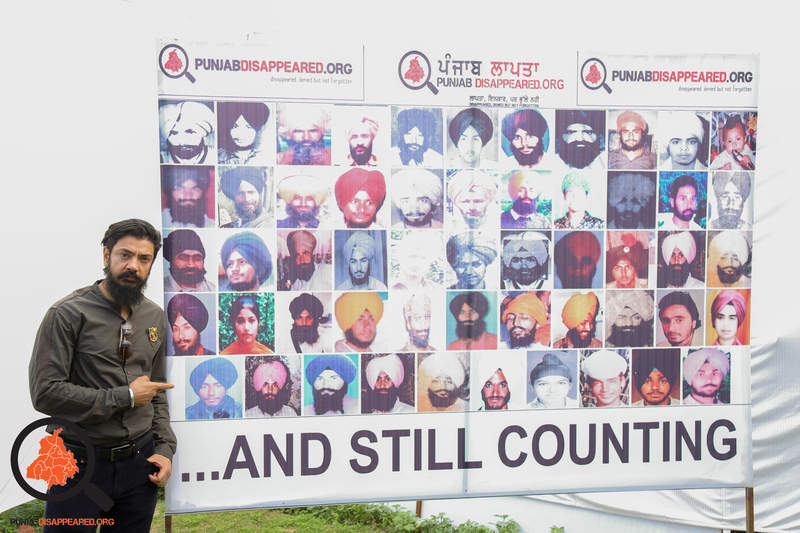 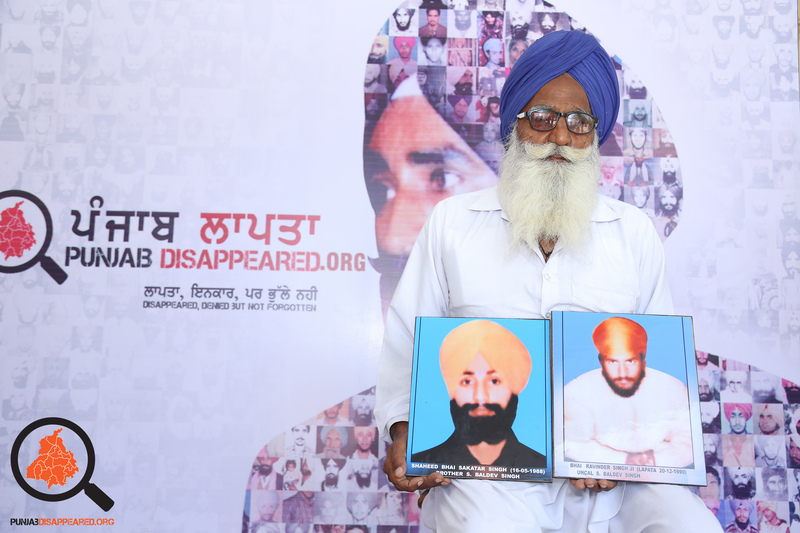 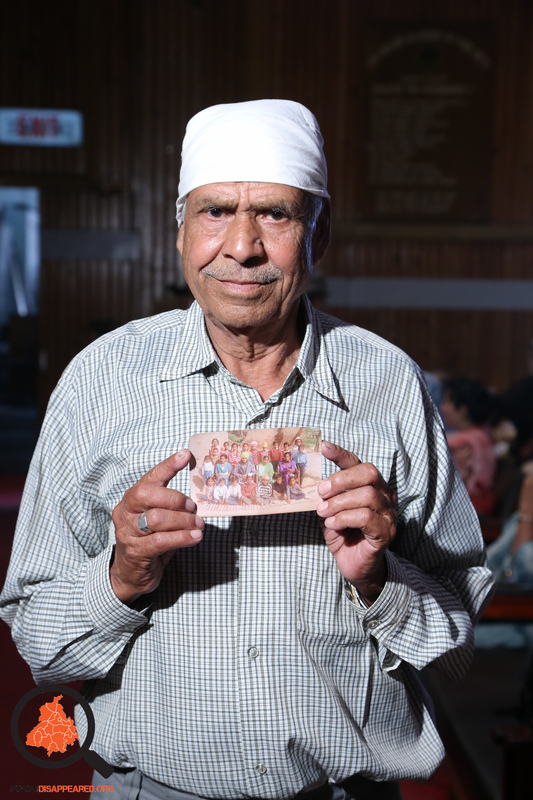 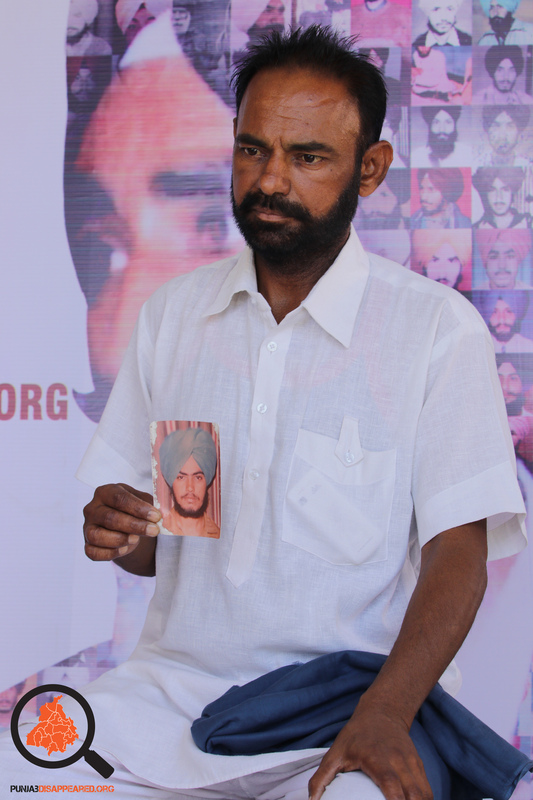 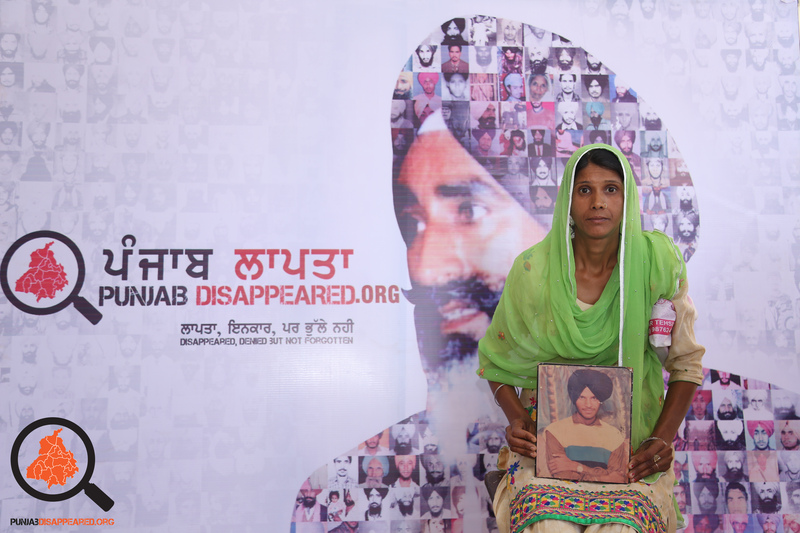 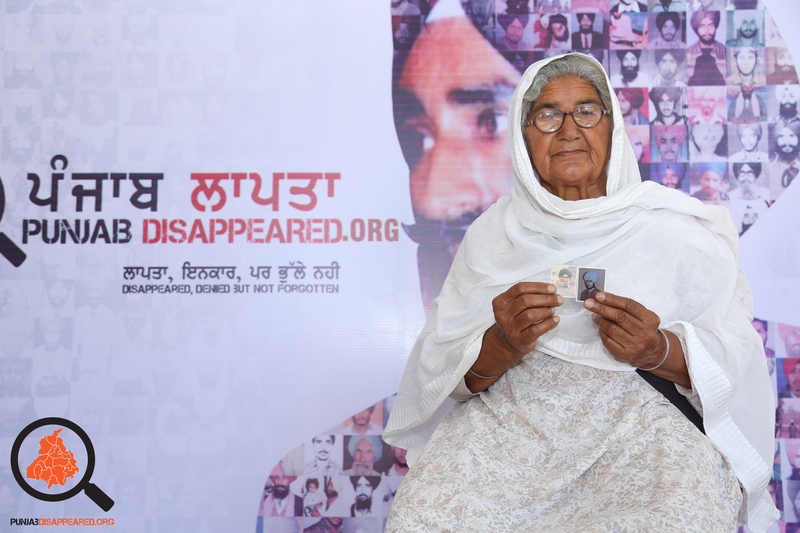 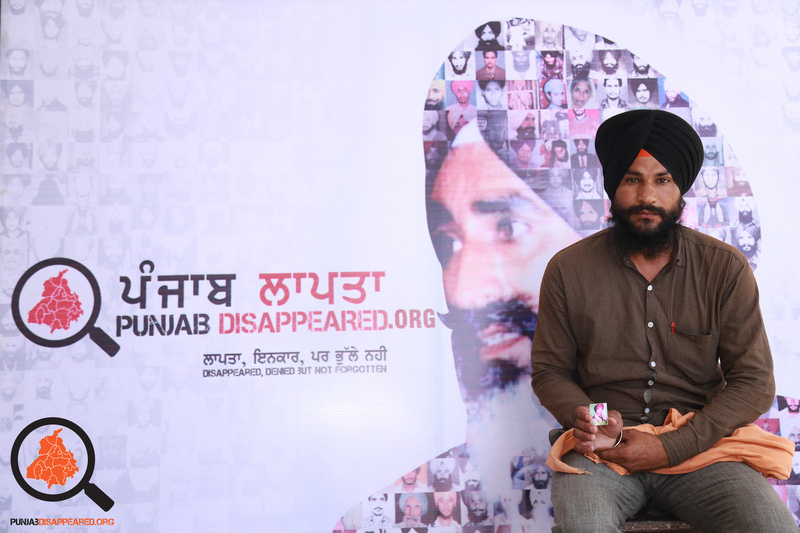 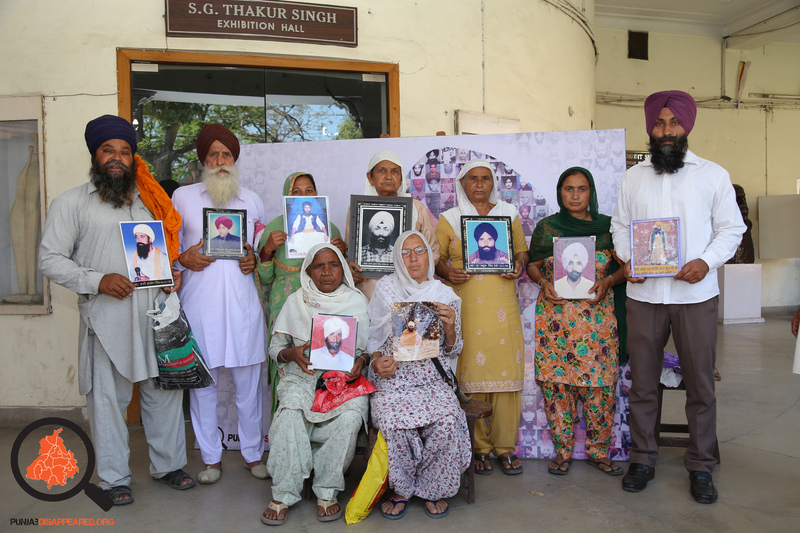 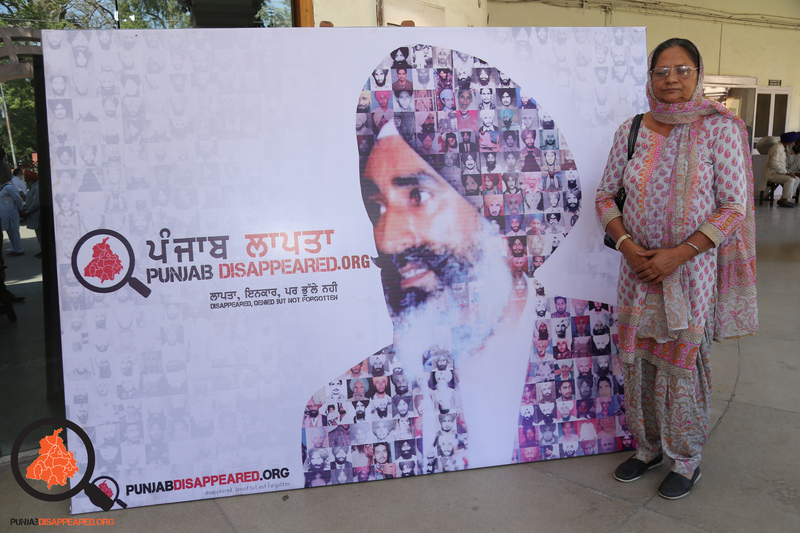 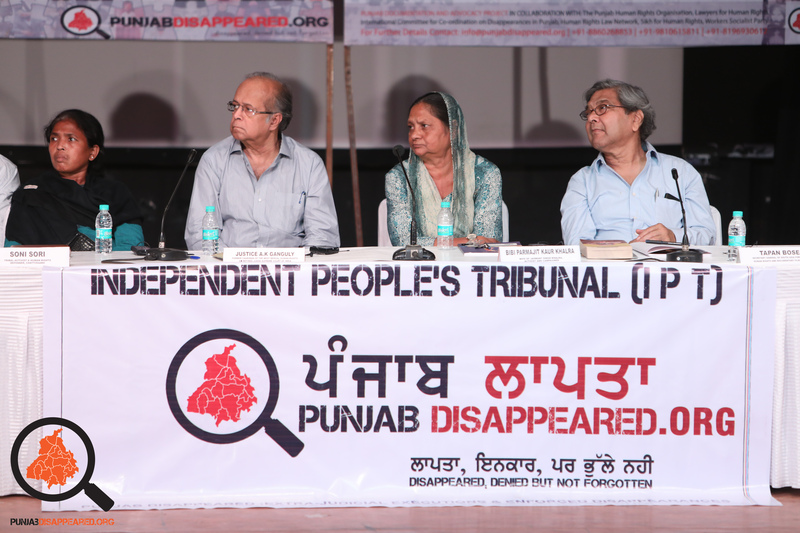 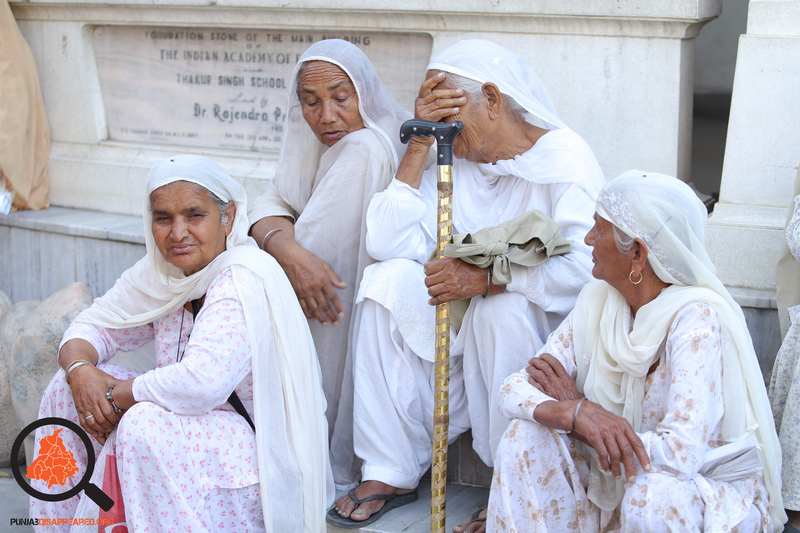 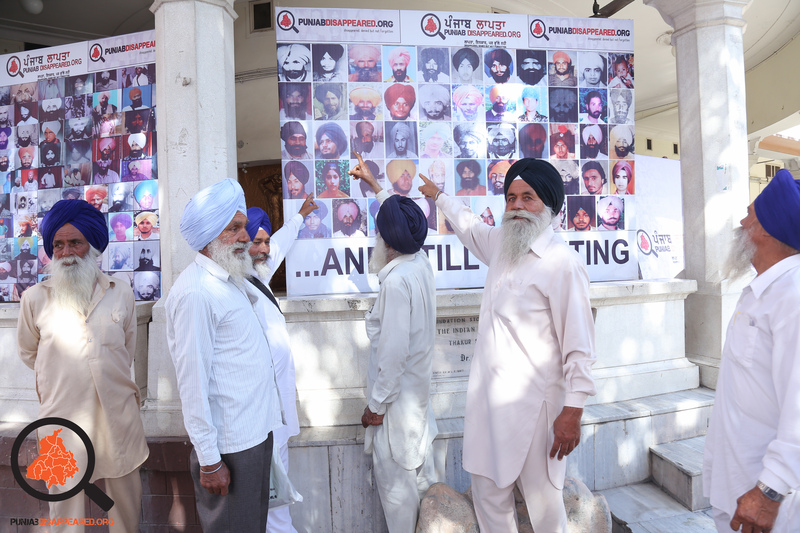 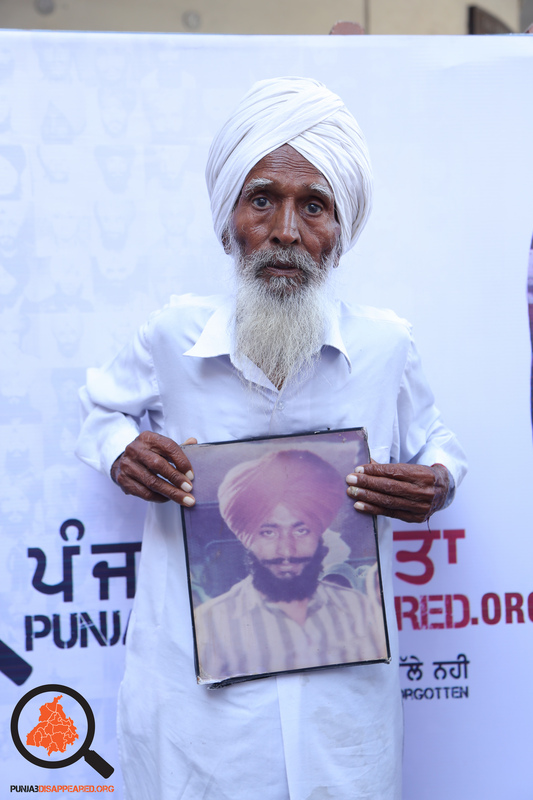 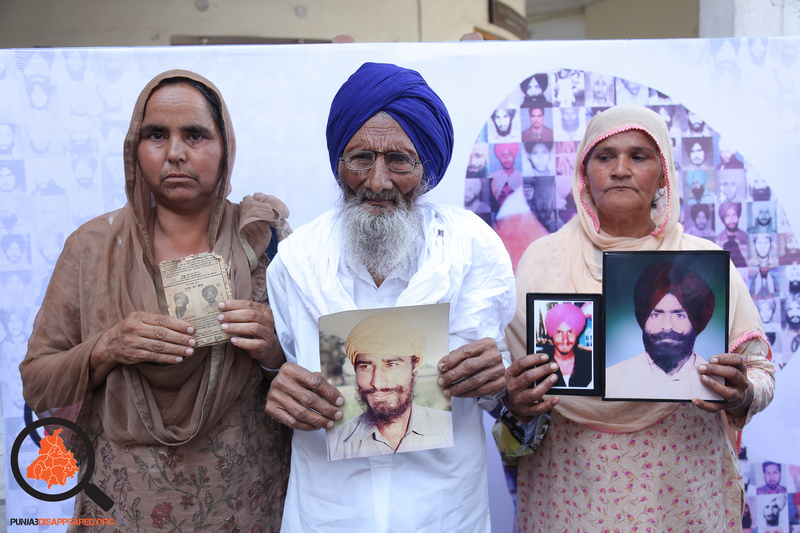 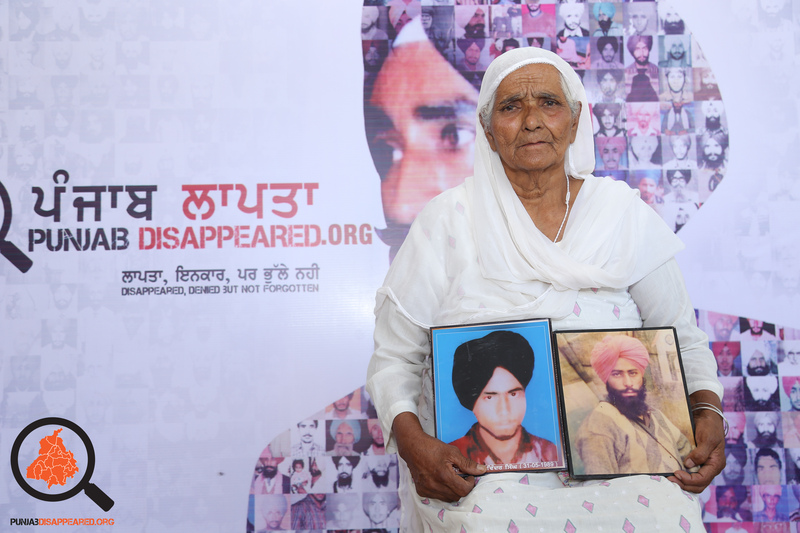 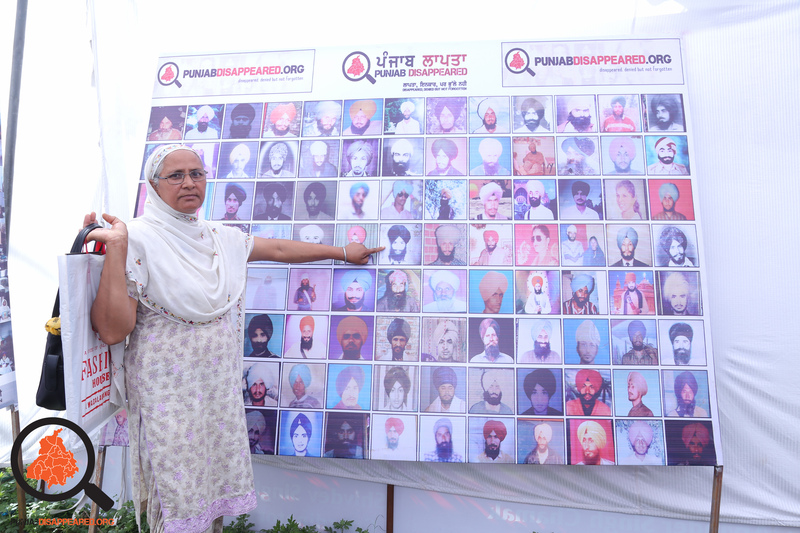 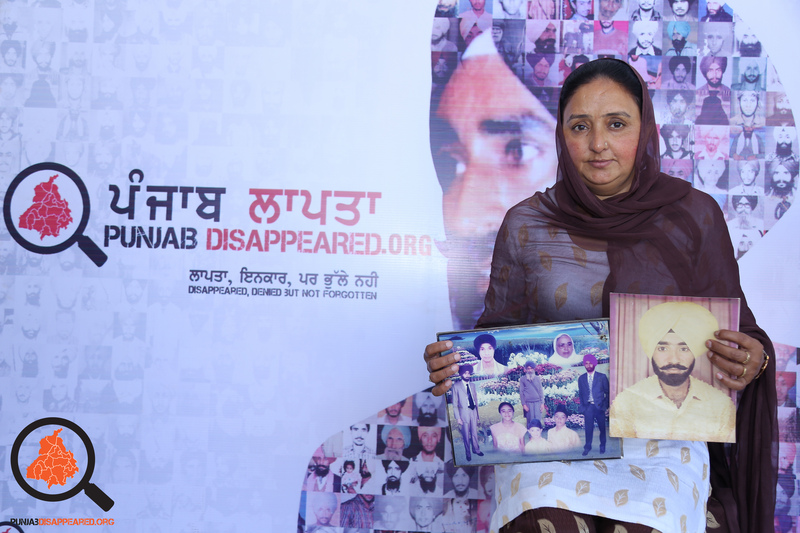 The Punjab mass disappearances during the Punjab conflict have not received the importance and attention they deserve. 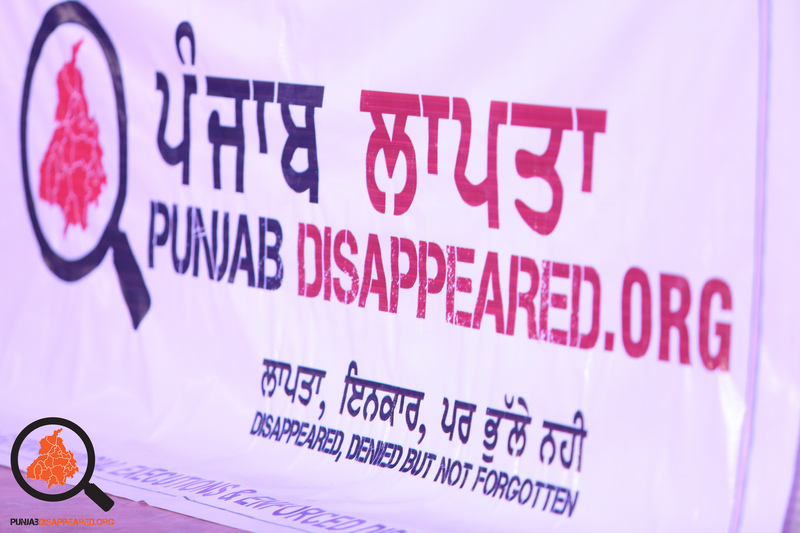 An overwhelming number of victim’s voices have never been heard in the public domain. 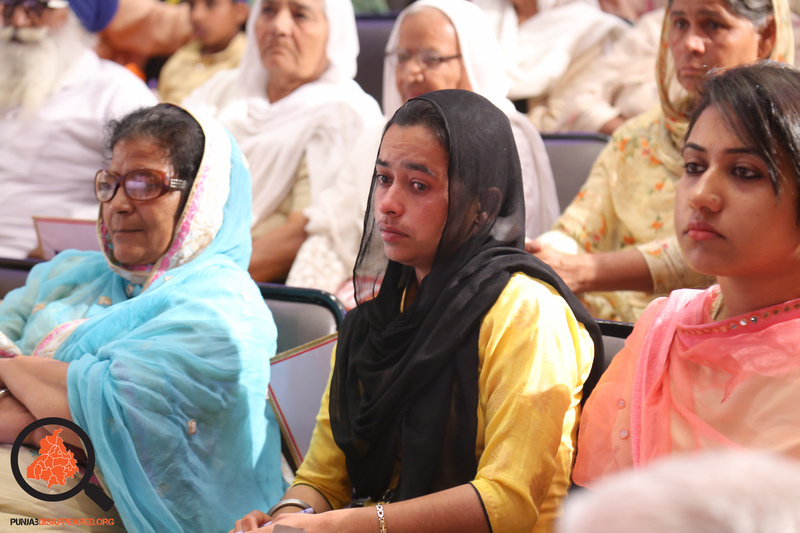 The majority have been awaiting basic acknowledgement, accountability and redress. 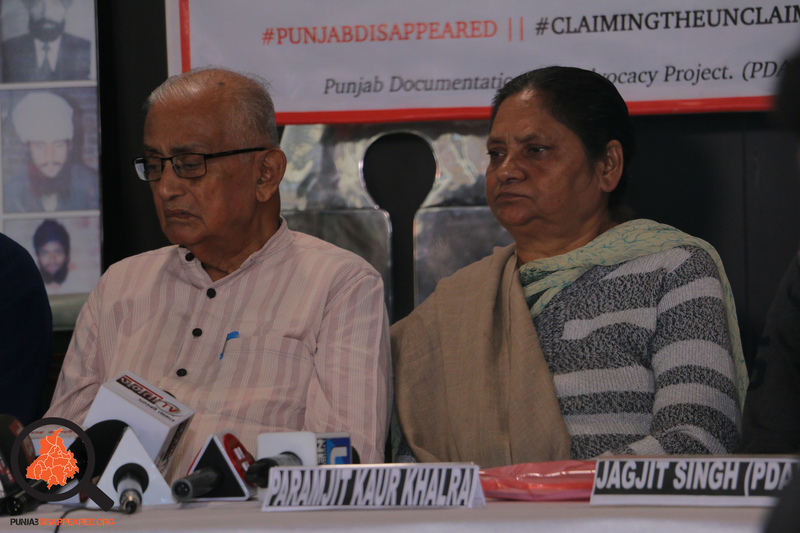 In a tiny minority of cases which could be pursued through the Courts the victims have been grounded down by the endless facades of litigation.